Each week, LMSC honors two travel team players (one male and one female) as our Player Of The Week Award winners. We will post a winner after each weekend of play during the fall season and the spring season. This weekly award will be presented each Tuesday with the winners photos and accomplishments posted on this page. Nominations are only accepted from travel team head coaches. 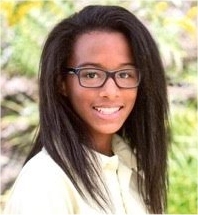 The LMSC girls travel team player of the week is Tori Okorodudu of the LMSC Furia (Under 12A Girls). In the Furia cup quarterfinal game Tori had an assist off of a free kick for the game winner. The goal helped Furia advance to the state cup semifinals. The next day, against Red Bull NY Pre-Academy, Tori had the game winning goal. The previous week against PDA, Tori also had a goal that tied the game and then Furia won 2-1. Congratulations to Tori on being named this week's LMSC Player Of The Week. 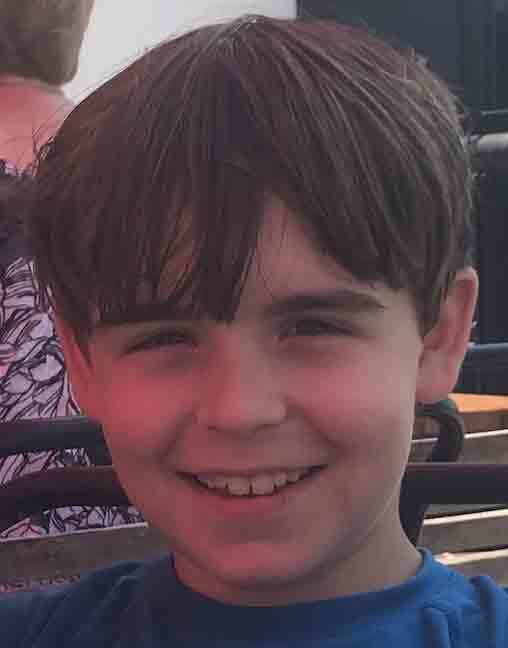 The LMSC boys travel team player of the week is Theo Reed of the LMSC Megalodons (Under 11A boys). The Megalodons needed a win in their state cup game against Danubia to advance to the state cup semifinals. Theo came up huge for his team, recording a hat trick. The highlight of the game came when a teammate crossed the ball into the penalty area and Theo volleyed the ball out of the air, into the goal. Congratulations to Theo on being named this week's LMSC Player Of The Week. 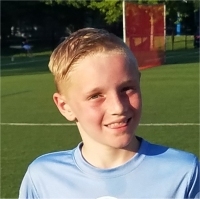 The LMSC boys travel team player of the week is Liam Kane of the LMSC Fusion (Under 12 boys). Liam scored two crucial goals in the Fusion's 3-2 win away this weekend at Greater Chester valley, including the go ahead goal. What was really impressive is that Liam scored these goals off similar drills that the team had designed and worked on in practice, w hich shows a full week of focus in practice and replication during the game. Congratulations to Liam on being named this week's LMSC Player Of The Week. 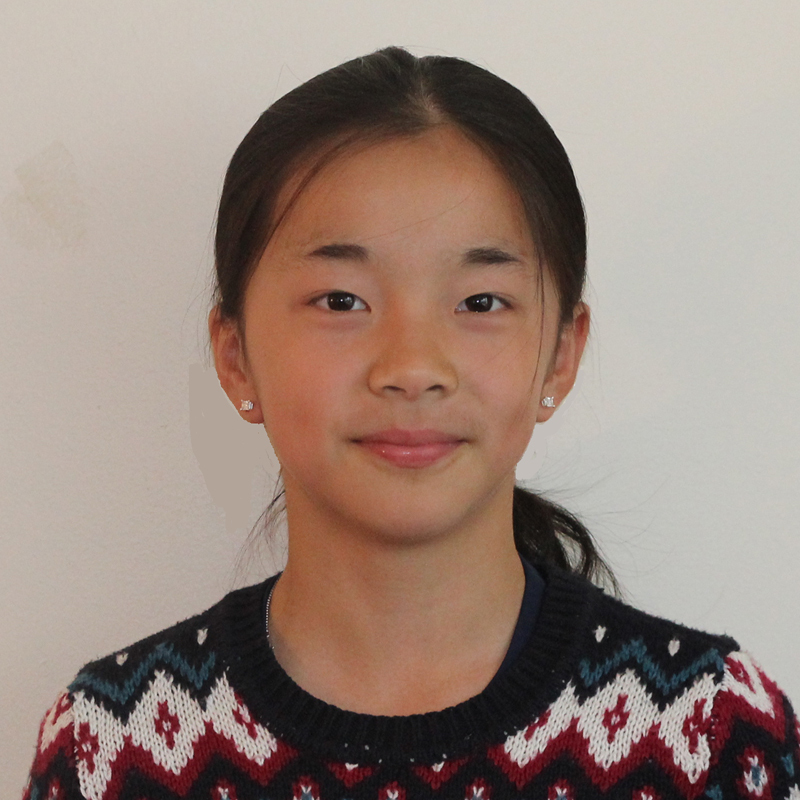 The LMSC girls travel team player of the week is Emerald Wu of the LMSC Legend (Under 15 Girls). Emmi was a stalwart defender this weekend winning nearly every ball in the middle of the field during an EDP game and a Challenge Cup game. Both games resulted in draws. Emmi stepped up her play in a key period of the season when the Legend squad is missing several players due to injury. Congratulations to Emerald on being named this week's LMSC Player Of The Week. 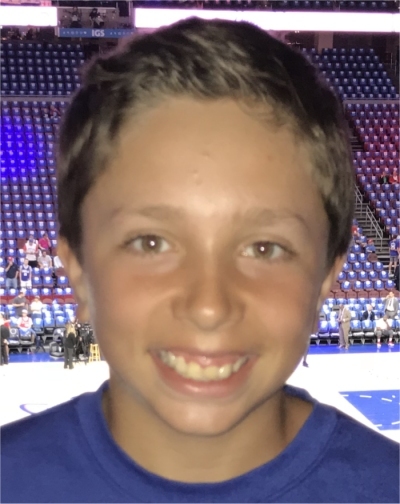 The LMSC boys travel team player of the week is Jake Millrood of the LMSC Blizzard (Under 11 boys). Jake had two goals and an assist in the Blizzard's 3-0 win against Harleysville as well as the team's only goal on Thursday in their state cup game against Chester Springs which ended 1-1. Jake converted a penalty shot to the top left corner to tie the Blizzard's state cup game at 1-1 on Thursday. On Saturday, Jake converted a penalty shot to the bottom right corner just before halftime to give the team a 1-0 lead. In the second half he broke down the sideline and hit a low line drive bullet cross across the box and to Leon at the backpost for a 2-0 lead. Jake also got a breakaway late in the game down the right hand side took one touch in to the box and blasted a shot to the bottom left side netting passed the diving goalie to give his team a 3-0 win and advance to the knockout round of the state cup. Congratulations to Jake on being named this week's LMSC Player Of The Week. 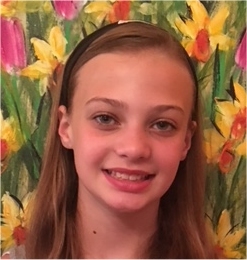 The LMSC girls travel team player of the week is Caroline Darcangelo of the LMSC MonStars (U-11A girls). Caroline has played defense since joining the MonStars and in the past couple of weeks she has been also playing center mid in practice. She played center mid in the MonStars game against Haverford and scored a goal and assisted another. Caroline completely controlled the midfield battle the entire game. Congratulations to Caroline on being named this week's LMSC Player Of The Week. The LMSC boys travel team player of the week is Sam Horton of the LMSC Irmaos Navy (Under 8A boys). 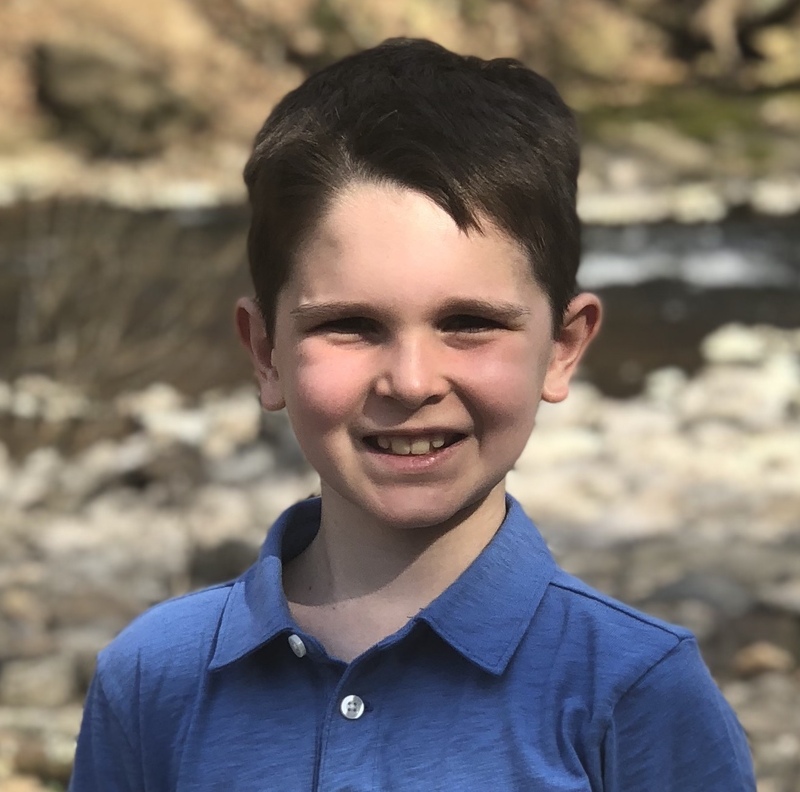 Sam Horton led the Irm�os Navy U8 team to an opening day 4-1 win over Fishtown in the top flight of the Central Division of the U9 EDP league. Sam controlled the center of the field in the central midfield position and scored two long range goals from outside the penalty area. Sam also had an assist off a corner kick. Congratulations to Sam on being named this week's LMSC Player Of The Week. 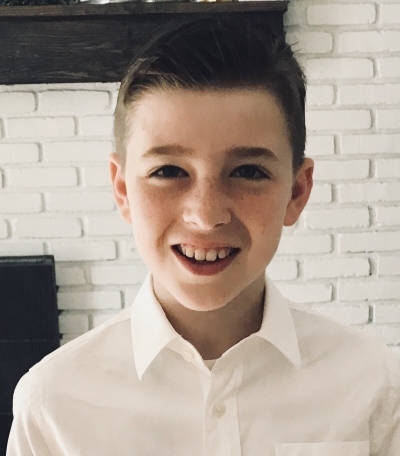 The LMSC boys travel team player of the week is Charlie Kinsella of the LMSC Celtic (U-10 Boys). Charlie played GK in the Celtic's first State Cup game vs. Penn Fusion, where he only let in one goal in a convincing 6-1 win on the road. Charlie made several breakaway saves that kept the team in the game until Celtic could score a couple of goals to get ahead. Charlie's distribution was also top notch, quickly getting the ball out to the correct player so we could start a counter attack. Congratulations to Charlie on being named this week's LMSC Player Of The Week. 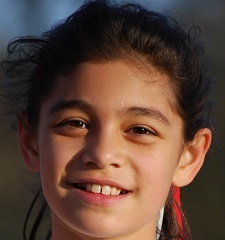 The LMSC girls travel team player of the week is Mara Apostol of the LMSC Arsenal (U-10A girls). The Arsenal team won the League Championship at YSC on Saturday and Mara helped lead her team to victory. She pitched a shutout in net for her team's second win and scored two goals in the championship game to help boost her team to the title. Mara is a great teammate and tremendously skilled player who deserves the award for Player of the Week! Congratulations to Mara on being named this week's LMSC Player Of The Week. 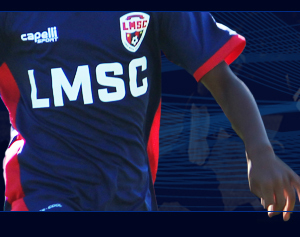 The LMSC boys travel team player of the week is Gibreel Mami of the LMSC Fever (U-17A boys). Gibreel had both goals for the Fever in their 2-2 draw with Baltimore Armor in EDP. Gibreel's first goal came from a backside diving header and his second was a first time bullet from outside the 18. Gibreel also played all 90 minutes of the game. Congratulations to Gibreel on being named this week's LMSC Player Of The Week. The LMSC boys travel team player of the week is Sebastian Tis of the LMSC Wanderers (U-16A boys). Sebastian scored the first two goals of the game as the Wanderers defeated SAC (Columbia, Maryland) 5-1 in their EDP Club vs. Club matchup. Congratulations to Sebastian on being named this week's LMSC Player Of The Week. The LMSC boys travel team player of the week is Scott Marshall of the LMSC Rats (U-19 Boys). 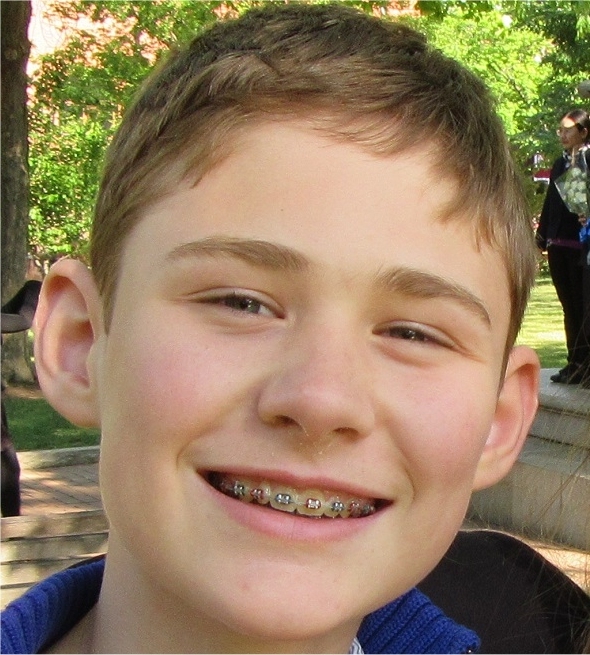 Scott scored two goals for the Rats in their 5-2 win over Bethesda in their EDP Club vs. Club game this past Sunday. The win increased the Rats record to 2-0 this spring. Congratulations to Scott being named this week's LMSC Player Of The Week. 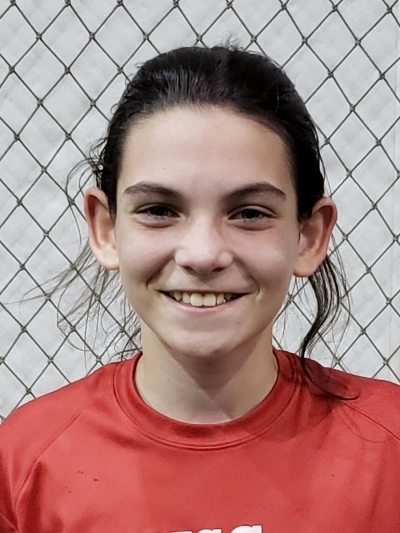 The LMSC girls travel team player of the week is Rylee Louden of the Under 12 LMSC Furia. Rylee is the goalkeeper for the LMSC Furia (U-12A girls). Thanks to her efforts, Furia reached the championship game of the FC Europa Turf Cup. Riley made a last minute save on a penalty kick to put Furia into the finals. Rylee also had two shutouts in the tournament. Furia beat both Pipeline (Maryland) Pre-Academy and New York Red Bulls. Congratulations to Rylee being named this week's LMSC Player Of The Week. 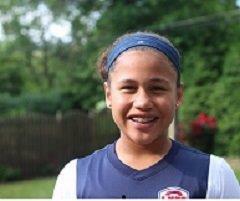 The LMSC girls travel team player of the week is Talia Devon of the Under 14 LMSC Force. Talia started every game of the tournament and worked tirelessly all weekend. 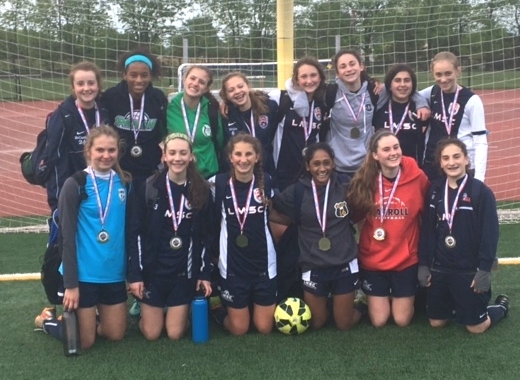 She created numerous attacking chances, scored two goals in the FC Europa Cup - including the game-winner in the final - to help LMSC Force win the U14 Girls Platinum division. Congratulations to Talia being named this week's LMSC Player Of The Week. The LMSC boys travel team player (or in this case players) of the week goes to the "Fab defensive 5" of Invictus (U15 A boys), Makai Beadle, Thanos Daniilidis, Steven Fajardo, Eddie Jones, and Conor O'Brien. These five defensive players did not allow a goal in four games during Invictus' championship run at the Bethesda Premier Cup. Invictus won three games 1-0 in group play and won the championship game in PK's, after both teams went scoreless in regulation and extra time. Makai, Thanos and Conor shut down attacking play from the wings while Steven and steady Eddie controlled the middle defensive third of the field. Both Steven and Makai also had goal saving clearances, including Makai's kick save on the line in the second overtime of the championship game. Congratulations to these five players for being named LMSC Player Of The Week. The LMSC girls travel team player of the week is Sara Beqiraj the U-16 Cyclones. The Cyclones won the EDP Fall Classic this weekend. Tireless midfielder Sara Beqiraj was a top performer. Her playing making efforts were faultless as she dictated play for the cyclones from central midfield which helped generate many offensive plays throughout the tournament. Sara's box to box defensive work broke up opponent build up plays over and over again. Sara assisted in her team conceding just one goal in four games. This was a very good all round performance from Sara. Sara was nominated by match officials from each game as player of the game in ALL four Games Congratulations to Sara Beqiraj being named this week's LMSC Player Of The Week. 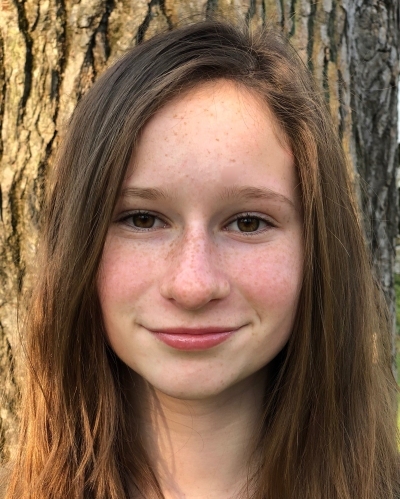 The LMSC girls travel team player of the week is Claudia Rickels the U-15 Legend. Claudia's playmaking ability helped her team draw with Methacton during an EDP game on Saturday. On Sunday during a PAGS Short Season game, Claudia propelled her team back from a 3-0 deficit by scoring 2 second half goals keeping the game very interesting. Congratulations to Claudia on being named this week's LMSC Player Of The Week. The LMSC boys travel team player of the week is Eli Hocking of the U-10 Falcons. Eli had two goals and two assists in the Falcons' 5-0 win. 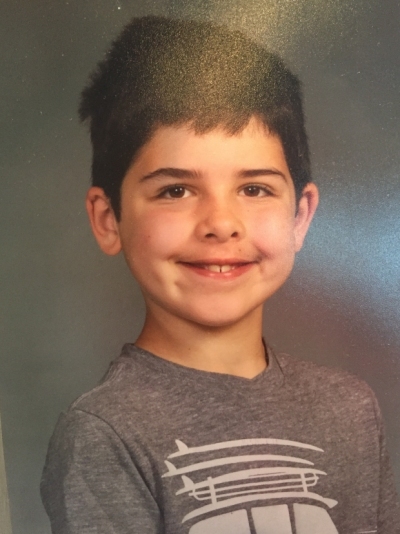 Eli got the first goals, but more importantly, as a 9 year old striker, he connected several one-twos where he was giving the ball up. He really shared the ball well. Eli could have had a hat trick but passed up third goal to get assist! This fall, Eli has turned into a true team player, knowing when to keep the ball and when to combine with teammates. Congratulations to Eli on being named this week's LMSC Player Of The Week. 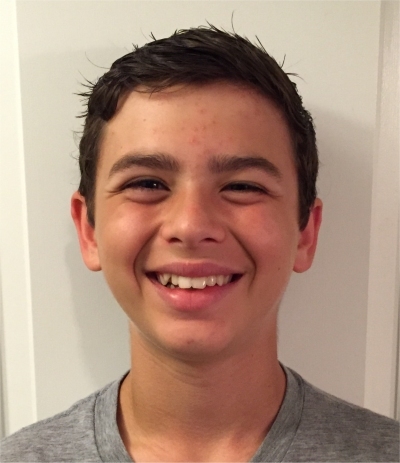 The LMSC boys travel team player of the week is Quan Feldman of the U-13 Mayhem. Quan plays center back for the Mayhem who are playing in the EDP League. The Mayhem won their game on Saturday, 3-0, against the Ukrainian Nationals and won their game on Sunday, 2-0, against Westmont United. Quan did not get beat once in either of the two games. He was a huge factor in the Mayhem recording two shutouts in one weekend. Congratulations to Quan on being named this week's LMSC Player Of The Week. The LMSC girls travel team player of the week is Avery Sill of the U-12 LMSC Thorns. After going down 1-0 early in the game Avery locked down the center-mid (a new position for her) and helped lead the team to a 3-1 victory. Through some quick passing, the Thorns were able to change the momentum and find a goal to tie the game. Avery then had the go-ahead goal by faking out a defender and sliding a left footed shot past the keeper in the first half and then assisted on the insurance goal in the second half by connecting a perfectly timed through ball. Along with that she won the physical battle against a girl almost twice her size and used her technical ability to help switch the field effectively which is what the team has been working on in training. Congratulations to Avery on being named this week's LMSC Player Of The Week. 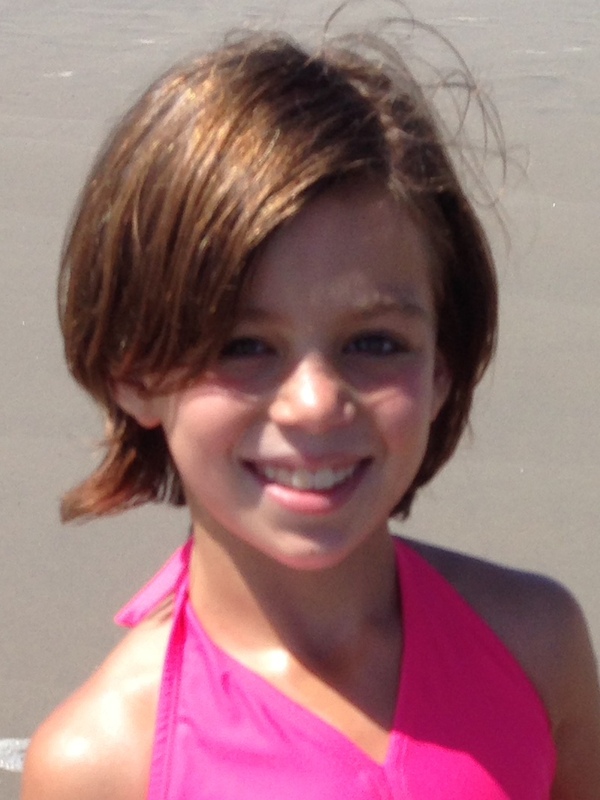 The LMSC girls travel team player of the week is Zara Burke of the U-10 LMSC Moxie. Zara was integral in the Moxie's 3-0 victory against Penn Fusion. During Sunday's game, Zara took control of the midfield and scored two awesome goals! Zara had fantastic ball control as she dribbled through the other team to score the first goal of the game. Zara's second goal secured the win for the Moxie. Not only did Zara excel in the offensive third, but she also helped her team keep their shutout. Zara worked in the defensive third to stop Penn Fusions attack. Congratulations to Zara on being named this week's LMSC Player Of The Week. The LMSC boys travel team player of the week is Will Davis of the U-9 LMSC Bulldogs. Will is the goalie for the LMSC Bulldogs, today was Will's first game back since receiving a concussion in a tournament three weeks ago. In the first half of the game Will was outstanding in goal and had a clean sheet during the first half. In the second half of the game he played the field and got a hat trick, leading the Bulldogs to a solid victory over their opponents. Congratulations to Will on being named this week's LMSC Player Of The Week. The LMSC boys travel team player of the week is Ethan Heyward of the U-11A LMSC Megalodons. The Megalodons traveled out to play Yardley-Makefield's U-11A team, one of the very best teams in the state. Three weeks ago the Megalodons defeated YMS in penalty shots of the championship game of the YMS Columbus Cup Tournament. On Sunday, the Megalodons kicked their offense into overdrive, defeating YMS 8-3. Ethan Heyward scored 10 minutes into the game and led a great offensive charge that saw the team net eight goals, giving the Megalodons their best victory of the year. Congratulations to Ethan on being named this week's LMSC Player Of The Week. 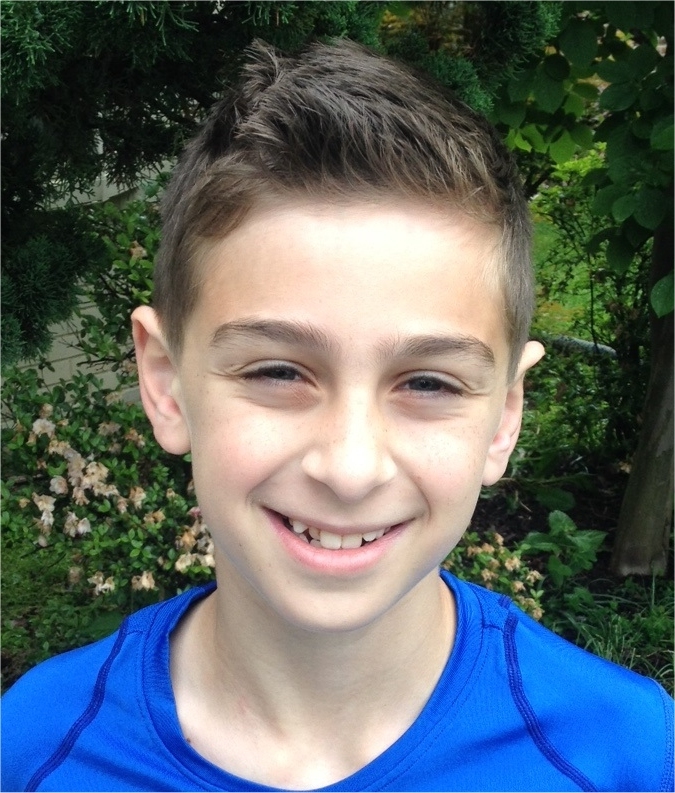 The LMSC boys travel team player of the week is Ben Roitman of the U-9 LMSC Shockwave. Ben had a great performance in Shockwave's 2-0 win over West-Mont in its EDP Futures match on Saturday. Ben played in goal the first half providing sure hands and good distribution. In the second half, Ben scored the game winner with about 12 minutes left on a solid strike from 12 yards out. A minute later, Ben struck again on a laser shot that nicked the post on the way to the back of the net. Way to go Ben and congratulations on being named LMSC Boys Travel Team Player Of The Week. 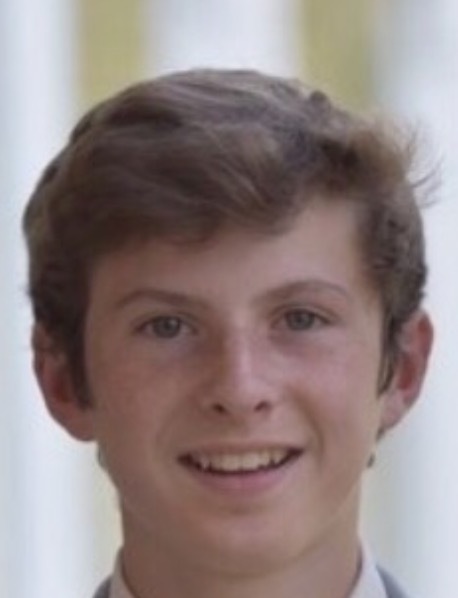 The LMSC boys travel team player of the week is Will Pearl of the U-15 LMSC United team. United was were down 2-1 to Rose Tree with 7 minutes left when they switched to a 2-5-3 formation and scored 3 goals in the final six minutes to win the game. Jordan Pearl scored all goals to give United the victory. For the afternoon, Jordan had 3 goals and 1 assist to help United come back and win in dramatic fashion. Congratulations to Jordan on being named LMSC Boys Travel Team Player Of The Week. 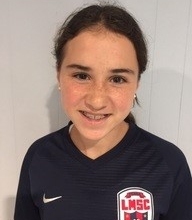 The LMSC girls travel team player of the week is Ally Altshuler of the U-13 LMSC Blaze. Ally was integral in helping the team to a 2-0 victory this Sunday and also helping the team keep its first clean sheet of the season. Ally lead from the center-back position, winning many crucial tackles for the team and helping the team start attacks with her great passing from the defense. Not only was Ally's play great today, but so was her communication to her teammates helping the team play as a solid unit. Congratulations to Ally on being named LMSC Girls Travel Team Player Of The Week. 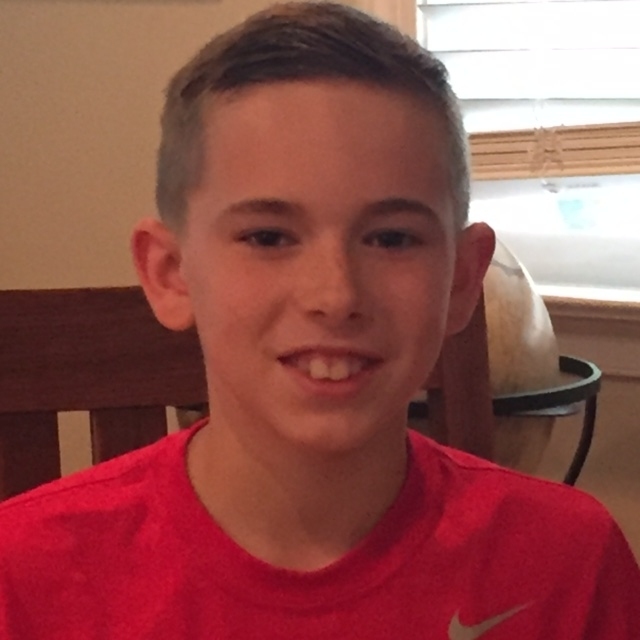 The LMSC boys travel team player of the week is Will Shockley of the LMSC Masters U-12 team. Will had a two goal performance in a 3-0 shutout win this weekend. It was the Masters' first win in Central League this season. His two goals were a crucial part in that win. William played extremely disciplined and is really learning and understanding the outside mid role. His hard work and willingness to listen and learn is really starting to pay off. Congratulations to Will on being named LMSC Boys Travel Team Player Of The Week. The LMSC girls travel team player of the week is Kelly Wood of the LMSC Wildcats. With her team down 2-0 early in the second half, Kelly helped lead a great comeback. With 15 minutes left, Kelly scored on a really nice one time shot off of a cross from the left wing. Then, with only eight minutes left, Kelly made a beautiful pass to a teammate who knocked home the equalizing goal. Congratulations to Kelly on being named LMSC Girls Travel Team Player Of The Week. 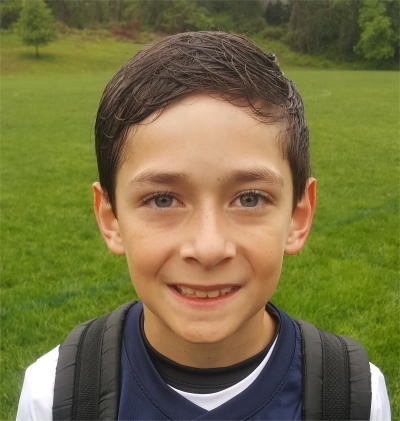 The LMSC boys travel team player of the week is Mateo Klaehn of the LMSC Lost Boys U-12 team. The Lost Boys won the Western Lehigh event this weekend. Best of all, the team played up in the U-13 age group and did it in style. Up 1-0 in the last minute of play, the Lost Boys gave up a PK, which the other team converted. The game went right to PK's and Mateo came up huge in goal. He saved the first three PK's and the Lost Boys converted all three for the win and the championship. Mateo was huge all game making multiple clutch saves. Congratulations to Mateo on being named LMSC Boys Travel Team Player Of The Week. The LMSC girls travel team player of the week is Maya Johnson of the LMSC Force. In Force's 6-0 win on Sunday, Maya had 3 goals and an assist. She took players on, was a handful for the defense, scoring and assisting with her non-dominant foot. Her hard work and intelligent play helped the Force earn the team's dominating win and much of the success was because of Maya. Congratulations to Maya on being named LMSC Girls Travel Team Player Of The Week. The LMSC boys travel team player of the week is Asher Ogle of the LMSC Young Boyz (U-13 boys) team. Asher showed a tremendous work rate in the Young Boyz game this week against Pottsgrove. His hard work and effort paid off as the Young Boyz won the game 6-3. Asher scored a very impressive five goals in the game to ensure the victory for the Young Boyz. Congratulations to Asher on being named LMSC Boys Travel Team Player Of The Week. The LMSC girls travel team player of the week is Alexa Braslow of the LMSC Monstars. Alexa has been one of our most creative players this season so far, the team is 3-0 in the league and have not conceded a goal due to our GK and strong defense. This is also due to our CM Alexa Braslow who not only creates opportunities moving forward, is a rock in the middle and disrupts everything. She is very patient on the ball and looks up after receiving the ball to find a player on the move. She is playing amazingly well and making a serious comeback after significant time out last year due to multiple injuries. Congratulations to Alexa on being named LMSC Girls Travel Team Player Of The Week. The LMSC girls travel team player of the week is Annie Wilson of the LMSC Cougars. With her team down 2-0 early in the second half, Annie helped lead a great comeback. 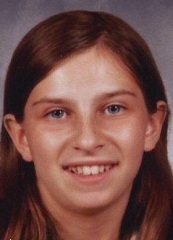 With 15 minutes left, Annie scored on a really nice one time shot off of a cross from the left wing. Then, with only eight minutes left, Annie made a beautiful pass to a teammate who knocked home the equalizing goal. Congratulations to Annie on being named LMSC Girls Travel Team Player Of The Week. 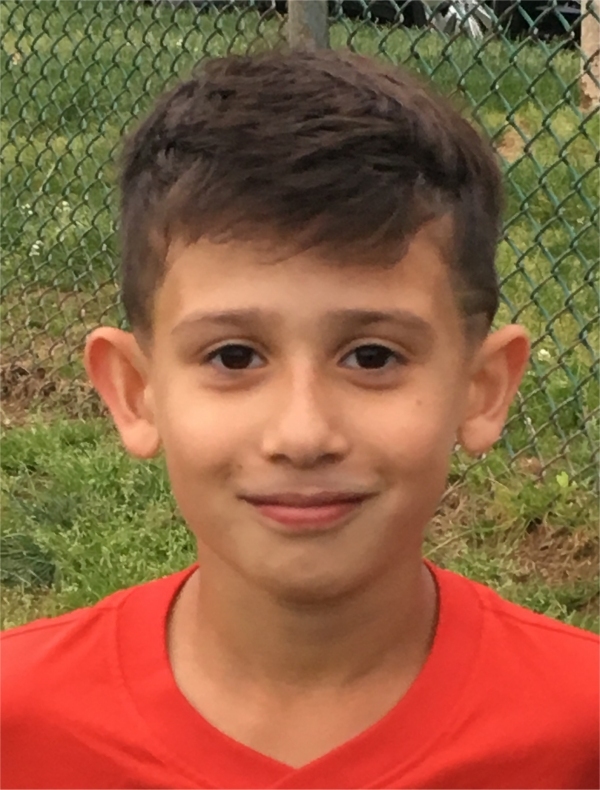 The LMSC boys travel team player of the week is Zohar Barzilay of the LMSC Irm�os Red (U-8 boys) team. Zohar scored four goals in their 6-0 win versus Phoenixville Soccer Club. Zohar held his right wing position very well and would make nice runs up the field after receiving the ball from passes coming from the central midfield. Zohar's strikes had pace and power and he was able to beat the opposing keeper four times. Congratulations to Zohar on being named LMSC Boys Travel Team Player Of The Week. The LMSC girls travel team player of the week is Sadie Gorberg of the LMSC Blaze. Sadie was a big part of Blaze's first win. She scored 5 goals, helping the team win 8-2. Sadie scored one goal in the first half and four goals in the second half, one of which was a perfectly placed penalty kick in the upper left hand corner. Not only did Sadie contribute with her goals, but she worked tirelessly hard for her team both with and without the ball. Congratulations to Sadie on being named LMSC Girls Travel Team Player Of The Week. 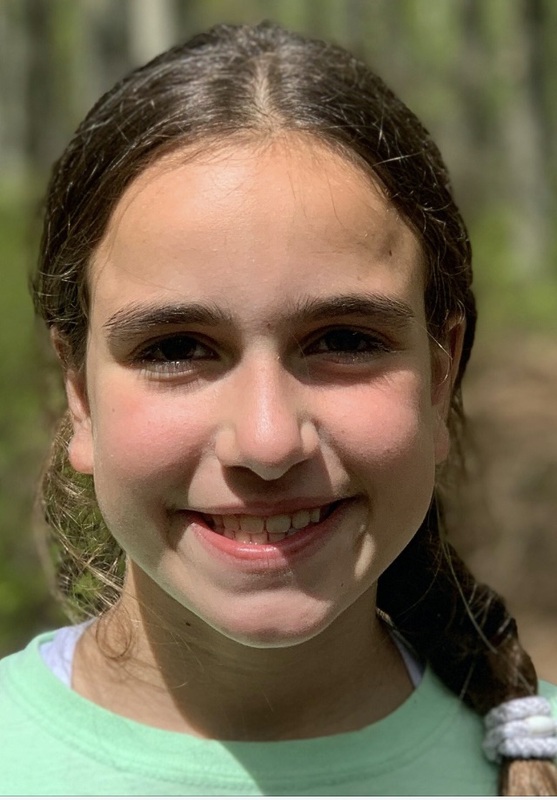 The LMSC girls travel team player of the week is Emma Barrabee of the LMSC Furia (U-12A girls). 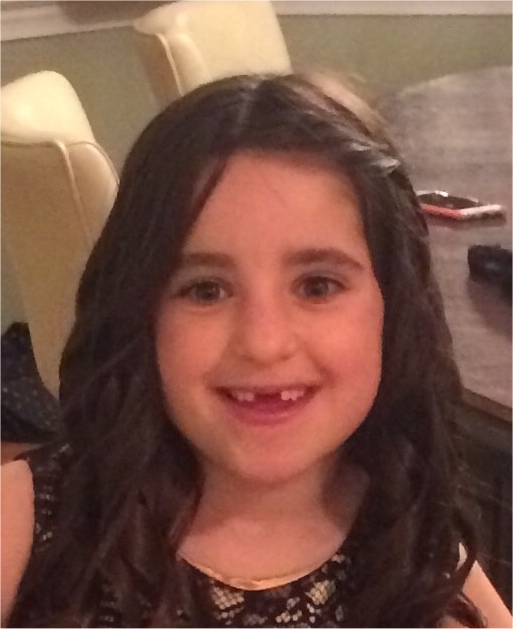 Emma helped the Furia win their EDP league opener against Howell, New Jersey. Emma was very dangerous throughout the game creating many chances. She broke the 0-0 draw with two minutes to play on a great goal where she slotted the ball past the goalie. One minute later she assisted on a slip pass Katie Gilbert to give the Furia a huge 2-0 league victory. Congratulations to Emma on being named LMSC Girls Travel Team Player Of The Week. 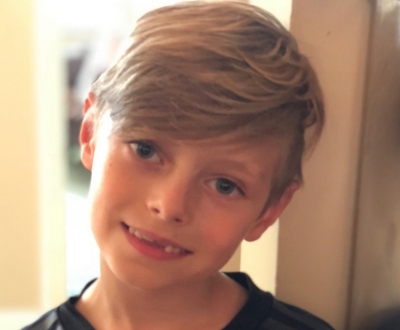 The LMSC boys travel team player of the week is Lincoln Spann of the LMSC Rams (U-10 boys). Lincoln was extremely good everywhere on the pitch. Everytime he had the ball, he was either skipping past defenders or getting fouled. He tracked back to win the ball everytime and ran tirelessly. When playing defense you could tell he was itching to go forward, but stood his ground and won every ball that came his way. While he was unlucky getting to goal he did not give up and just kept playing. Congratulations to Lincoln on being named LMSC Boys Travel Team Player Of The Week. 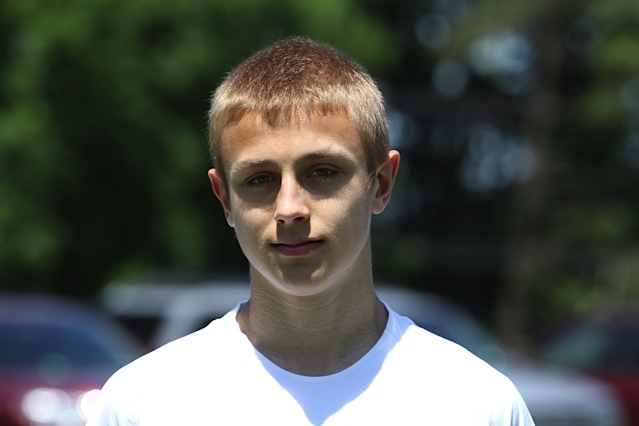 The LMSC boys travel team player of the week is Billy Beifeld of LMSC United (U-15 boys). Billy had a had trick against Chester Springs United 'A' team as United cruised to a 5-0 win in the first week of Delco League play. Billy did a great job of controlling the ball and going to goal on offense and also worked hard to win the ball back when the opponents had the ball. Congratulations to Billy on his fantastic play and for being named LMSC Boys Travel Team Player Of The Week. The LMSC girls travel team player of the week is Sammy Baker LMSC Wildcats. Sammy did a fantastic job at the center midfield position in her team's 2-1 win over Western Lehigh Valley United. Down 1-0 in the second half, Sammy played a great through ball to a teammate to tie the score up. With less than 10 minutes left, Sammy drilled in a left footed shot from 15 yards out to give the Wildcats a great come from behind victory. Congratulations to Sammy on being named LMSC Girls Travel Team Player Of The Week. 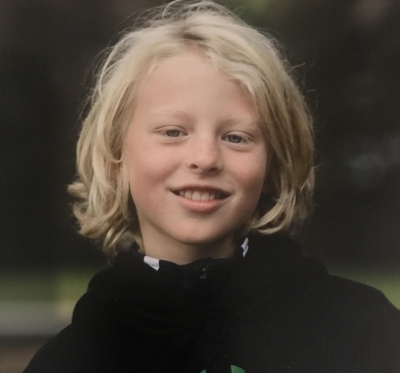 The LMSC boys travel team player of the week is Theo Reed of the LMSC Megalodons (U-11A Boys). Theo's team, the Megalodons, took second place in the top flight of the Al Perlini Tournament in Warminster, playing up a year in the Under 12 age group. 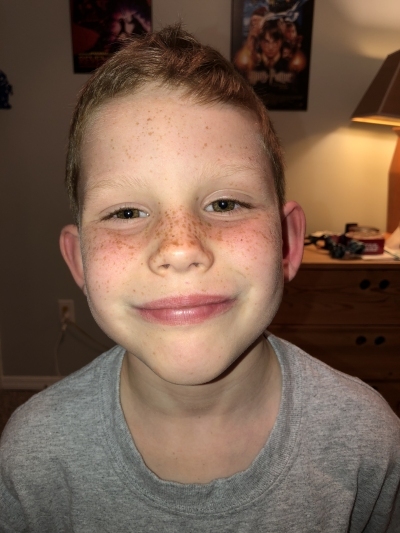 In one of their toughest games of the tournament, Theo scored four goals, all left footed, to help the Megalodons defeat the Haverford Flames 5-3. Theo also played great defense and made some great passes throughout the tournament. Theo attributed his excellent left footed shooting to his hard work and dedicated practicing at Camp Tecumseh (New Hampshire) this summer. Congratulations to Theo on his fantastic play and for being named LMSC Boys Travel Team Player Of The Week. 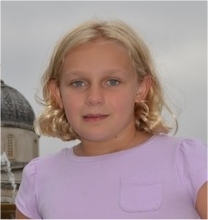 The LMSC girls travel team player of the week is Eryn Lyman of the LMSC Impact (U-13A Girls). 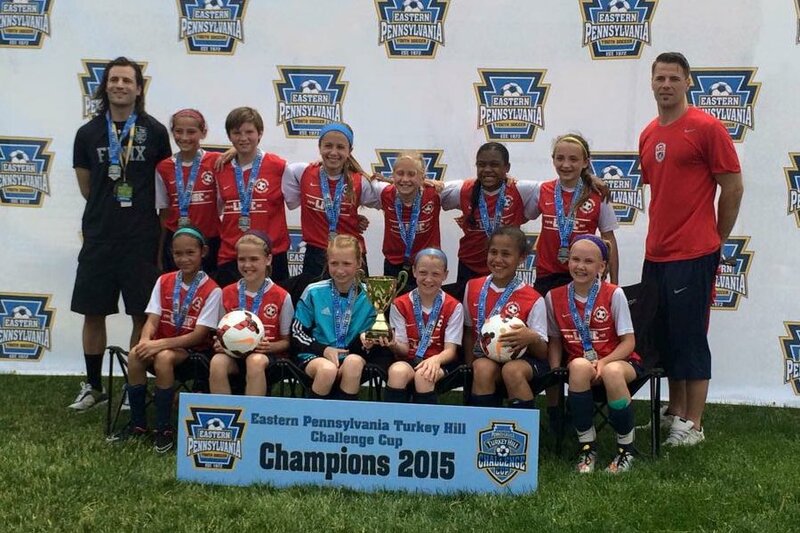 Eryn is the Impact's goalie and led her team to the championship of the PA Classics Keystone Cup. Eryn made several great saves in the four matches that Impact played, enroute to the tournament championship. Eryn played well with her feet and her hands, when teammates played back to her. She made great decisions on how to start the attack after a save. Congratulations to Eryn on being named LMSC Girls Travel Team Player Of The Week. 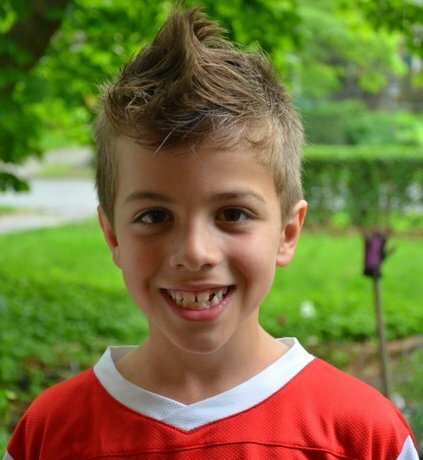 The LMSC boys travel team player of the week is Donal Wilk of the LMSC Irm�os (U-8 Boys). 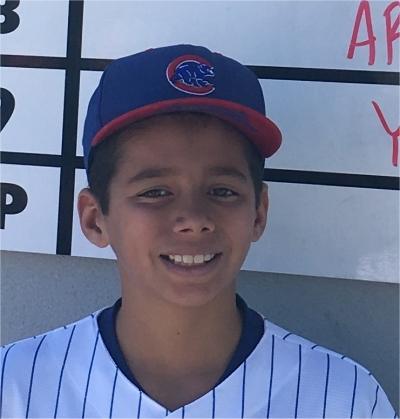 Irm�os won the second flight of the U-9 age group (playing up a year) in the Battle of the Hilltop tournament this past weekend. Donal anchored the Irm�os Navy defense, which only gave up one goal (on a penalty kick) in four games. Congratulations to Donal on his fantastic defensive play and for being named LMSC Boys Travel Team Player Of The Week. 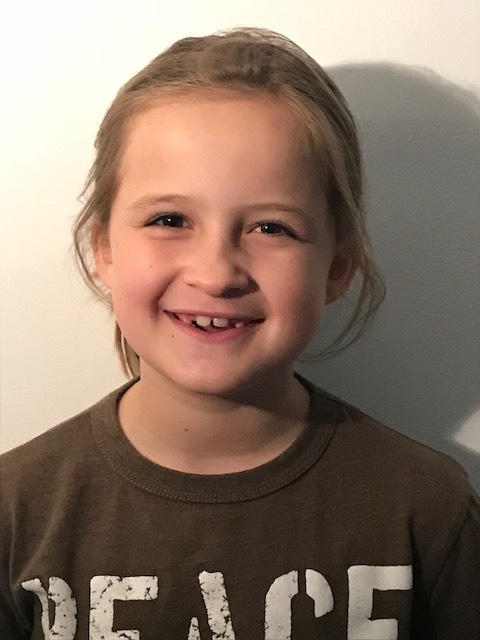 The LMSC girls travel team player of the week is Emma Stutzman of the LMSC Moxie (U-10 Girls) Emma lead the Moxie to win second place at the Spirt Kick Off Classic. Emma's leadership, heart, and perseverance was a constant motivator for her teammates. She was simply fantastic all tournament and never stopped working. Congratulations to Emma on being named LMSC Girls Travel Team Player Of The Week. 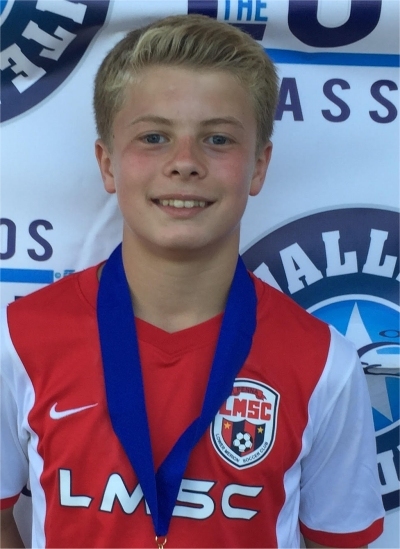 The LMSC boys travel team player of the week is Reid Joseph of the LMSC Invictus (U-14 Boys and defendeing state champions). Reid led Invictus to a dramatic come from behind 2-1 win over Philadelphia Soccer Club in their state cup semifinal match. Reid scored midway through the second half to tie the score. Then, with only five minutes left in the second overtime, Reid scored again to secure the victory. Reid played the entire game at the attacking midfield position, despite being hobbled by a badly sprained ankle. Congratulations to Reid for being named LMSC Boys Travel Team Player Of The Week. The LMSC boys travel team player of the week is Davin Fenstermaker of the LMSC Young Boyz (U-12 Boys). The Young Boyz, coached by Shawn Boney, played some of their best soccer of the season this weekend. The Young Boyz won their bracket with six different players scoring with a 2-0 win over West - Mont United Union and a 5-2 win over Chester Springs Juventus. The Young Boyz advanced to the Championship vs West-Mont United Lazers where the game ended in a 1-1 tie after regulation. The teams remained deadlocked through two more overtimes periods before falling in the sudden death shootout 3-2. There was great play all-around play this weekend with 3 goals and 2 assists coming from Davin Fenstermaker including the equalizer in the championship match. Great job Davin and the Young Boyz. Congratulations to Davin for being named LMSC Boys Travel Team Player Of The Week. The LMSC girls travel team player of the week is Lydia "Lu" McKenzie of the LMSC Pride. This weekend, Lu scored three goals and had one assist in two games. "Lu" as she is known among her peers has shown exemplary development over the past few months transitioning from a box to box midfielder to a target forward and spearheading the majority of the Pride attacks. Lu doesn't just score goals but her defensive efforts have been fantastic. Lu has scored five goals in four games as a forward. LMSC Pride won 5-1 over Boca FC and tied League leaders Hamilton Elite 1-1 on the road over the weekend. Congratulations to Lu on being named LMSC Girls Travel Team Player Of The Week. The LMSC girls travel team player of the week is Liz Moore of the LMSC Stingrays. Liz is an excellent midfielder who gets up and down the field the entire game. She was one of the most dominant defenders and also one of the most dominant attackers at the other end of the field. This week she had two goals, helping her team to a 4-2 come from behind victory. Congratulations to Liz for being named LMSC Girls Travel Team Player Of The Week. 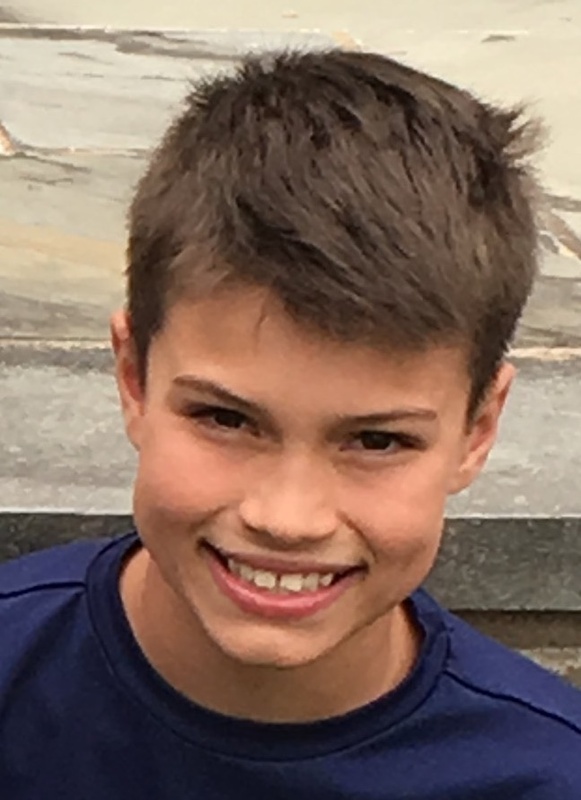 The LMSC boys travel team player of the week is Matthew Pedersen of the LMSC Burn (U-12 Boys). 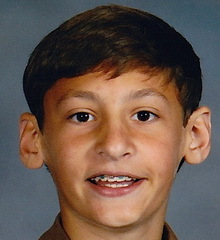 Matthew scored seven goals this weekend in two Delco Spring games and one state cup game, recording two hat tricks. The Burn won all three games, outscoring their opponents 21-3. His family is moving back to Canada this summer and we wish them all the best. Hopefully Matthew will continue his excellent soccer career. Congratulations to Matthew for being named LMSC Boys Travel Team Player Of The Week. 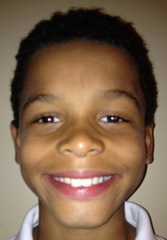 The LMSC boys travel team player of the week is Che Rowe of the LMSC Megalodons (U-10A Boys). Che helped the Megalodons open up their defense of their state championship from last spring by recording three goals and an assist against Continental FC in the first round of state cup play. Che set the pace for the team by scoring seven seconds in the game. Che was not just an offensive force, he also played excellent defense all game. Congratulations to Che for being named LMSC Boys Travel Team Player Of The Week. This week's LMSC Girls Travel Team Player Of The Week Award goes to Natalie Thomas of the LMSC Wildcats. Natalie's excellent play on defense enabled her team to earn a hard earned 1-0 shutout victory over the North Union Cosmos. Late in the game, a North Union player got past the LMSC goalkeeper and took what appeared to be a game tying shot, only to have Natalie run into the goalmouth and clear the ball away, before it could cross the goal line. Congratulations to Natalie on being this week's girls Travel Team Player Of The Week. This week's LMSC Girls Travel Team Player Of The Week Award goes to Sarah France of the LMSC Rage (U-13 Girls). The Rage faced two strong A teams in the Hempfield Classic Tournament and ended with two ties, both by the score 0-0. The team's new goaltender Sarah France, made double-digit saves in both games, earning two shutouts to help the Rage reach the semi-finals. Sarah was great and was just promoted from the C team last month. She is developing into a great goalkeeper. Congratulations to Sarah on being this week's girls Travel Team Player Of The Week. The LMSC boys travel team player of the week is Zach Woodbury of the LMSC Bobcats (U-10 Boys). The Bobcats won the Welsh Cup, going 3-0, scoring 13 goals and conceding only two goals. The team was led by central defender Zach Woodbury. Zach marshaled the backline against Haverford's A team to earn the key tournament victory. Congratulations to Zach for being named LMSC Boys Travel Team Player Of The Week. This week's LMSC Girls Travel Team Player Of The Week Award goes to Clara Page of the LMSC Cyclones (U-15A Girls). Clara helps her team in so many ways. Not only is she the best center back that veteran LMSC coach Wayne McKinney has ever coached, but she was asked to play striker and had two goals in one game and a hat trick in the consolation game this past weekend at the EDP Tournament in Pittsgrove New Jersey. Each goal was different with the hat trick goal coming off a restart which she bent around the wall like "Beckham." Congratulations to Clara on being this week's girls Travel Team Player Of The Week. 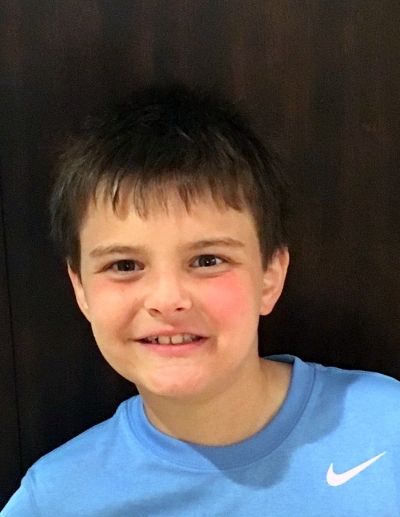 The LMSC boys travel team player of the week is Alex Jackson of the LMSC Avalanche (U-10 Boys). 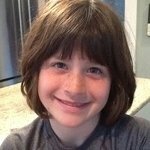 Alex had a whopping four goals against King of Prussia SC Prussians Gold in the LMSC u10D Avalanche's 7-0 win this Saturday. He was unstoppable everywhere he played. Alex didn't just score goals, he was active defensively and as always played with a huge smile. Alex is a great teammate and was a big part of the Avalanche finishing with a winning record in their first season in the Central League. Congratulations to Alex for being named LMSC Boys Travel Team Player Of The Week. 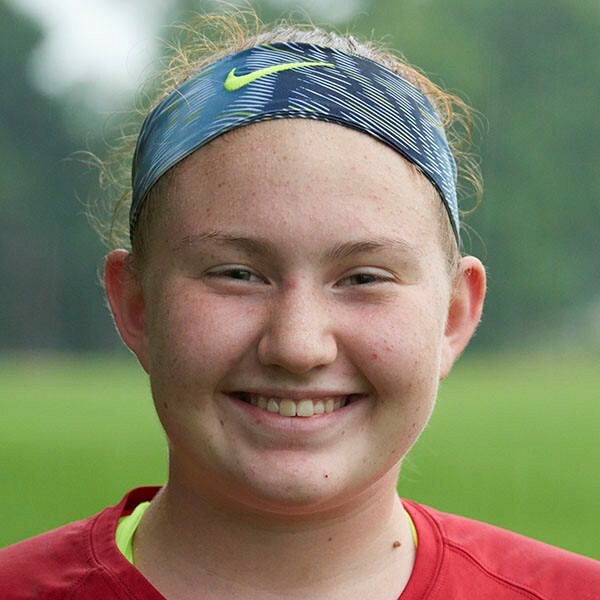 This week's LMSC Girls Travel Team Player Of The Week Award goes to Claudia Rickels of the LMSC Legend (U-14 Girls). Against PA Rush on Thursday night, Claudia's consistently good decision-making, vision and passing ability led to the game winning goal. She capped off the night with an unassisted goal in the second half weaving in and out of two defenders and slipping it past the keeper. Congratulations to Claudia on being this week's girls Travel Team Player Of The Week. The LMSC boys travel team player of the week is Eric Lutz of the LMSC Burn (U-12 Boys). Eric's team, LMSC Burn, won the Delco Division I semifinal game versus Lionville 2-1 in overtime. Eric scored a great head goal at the end of the first half to tie it 1-1. In the first half of overtime, he scored a 2nd goal from about 25 yards out that chipped the keeper and went in off the post. Congratulations to Eric for being named LMSC Boys Travel Team Player Of The Week. 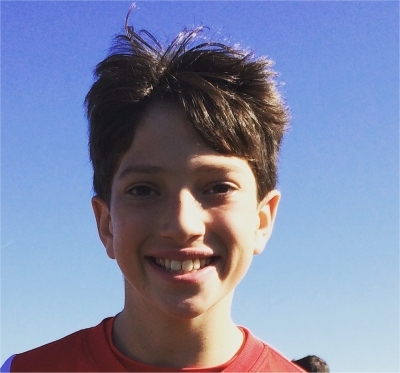 The LMSC boys travel team player of the week is Gideon Wolf of the LMSC Burn (U-12 Boys). Burn traveled to Methacton for a Delco Divsion 1 playoff match. The Burn controlled the game largely due to Gideon's superb play in the center midfield position. Gideon also scored the game winner in the 2-1 victory with about four minutes left in the game. Congratulations to Gideon for being named LMSC Boys Travel Team Player Of The Week. 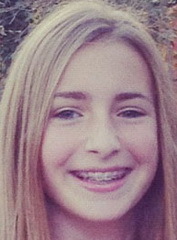 This week's LMSC Girls Travel Team Player Of The Week Award goes to Eden McLendon of the LMSC Sochers (U-14A Girls). Eden scored two 2nd half goals in our win against PA Rush. She also had 2 saves on the day as she played the 1st half in the net. Congratulations to Eden on being this week's girls Travel Team Player Of The Week. 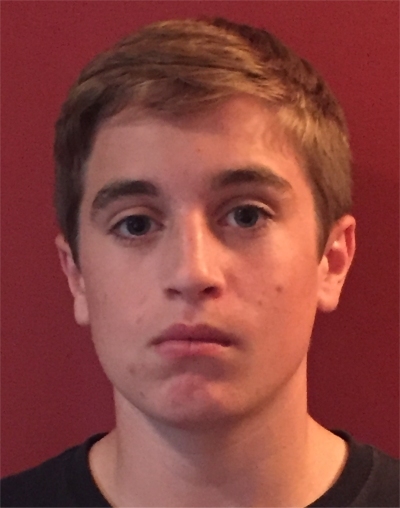 The LMSC boys travel team player of the week is Ryan Eckels of the LMSC Elite 03's (U-15A Boys). Ryan scored the decisive goal in the LMSC Elite 03's 3-2 EDP League victory against the Ukrainian Nationals Black 03, the reigning 2003 Boys Pennsylvania State Champions, and Region 1 Finalist (and currently Number 1 ranked team in the US). Congratulations to Ryan for being named LMSC boys Travel Team Player Of The Week. 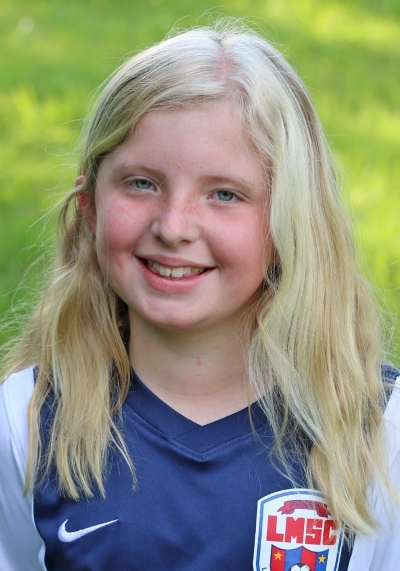 This week's LMSC Girls Travel Team Player Of The Week Award goes to Sophie Smolen of the LMSC Furia (U-11A Girls). Sophie had two goals in a PAGS League Division 1 league game. The game was tied 2-2 at halftime against one of the best teams in the division. I the second half Sophie had the 3rd and 4th goal for Lower Merion to lead her team to victory. Congratulations to Sophie on being this week's girls Travel Team Player Of The Week. 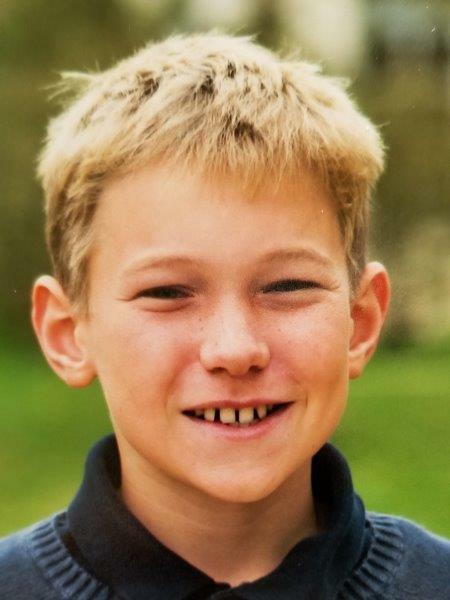 The LMSC boys travel team player of the week is Connor Stein of the LMSC Megalodons (U-10A Boys). Connor was fantastic in his team's 8-2 win over Lehigh Valley, playing all 60 minutes of the game. Connor is an excellent defender but also does a great job winning the ball and starting his team's offense. On one play, Connor won the ball at midfield, beat four players on the dribble to get in on a breakaway and calmly buried the ball in the back of the net. Connor says that his inspirational play was the result of assistant coach Hanni rallying the team in the second half of the game. The Megalodons are the defending state champions. Congratulations to Connor for being named LMSC boys Travel Team Player Of The Week. 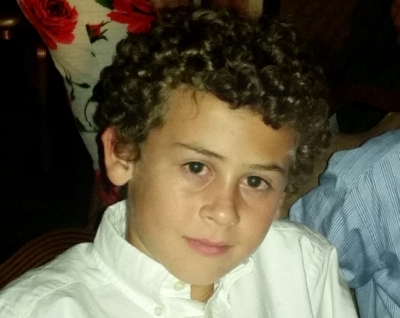 The LMSC boys travel team player of the week is Andrew Buckingham of the LMSC Madrid (U-12 Boys). The Madrid team won their first game of the season this weekend and Andrew led the way with a hat trick. Andrew's efforts and hard work on the field were an inspiration to the rest of the players as they earned a hard fought win. Congratulations to Andrew for being named LMSC boys travel team player of the week. 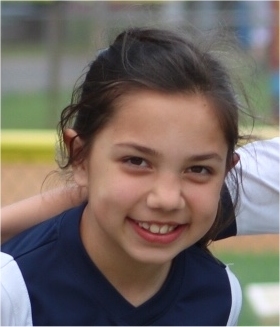 This week's LMSC Girls Travel Team Player Of The Week Award goes to Catherine Cantu of the LMSC Monstars (U-10A Girls). Catherine Cantu made many incredible saves all weekend and was a leader for the team from the goal. She made three saves in the penalty shot shootout in the final of the Ukranian Nationals Columbus Cup to win the game and tournament for the Monstars. Congratulations to Catherine on being this week's Travel Team Player Of The Week. 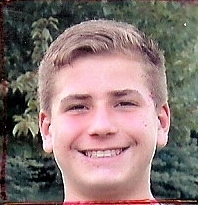 The LMSC boys travel team player of the week is Steven Walicki of the LMSC Ambush (U-14 Boys). Steve had a pair of goals in Ambush's EDP open cup 6-3 victory on Saturday. He secured the right side in that game as well as their 3-2 win in EDP league play on Sunday. Congratulations to Steven for being named LMSC boys travel team player of the week. 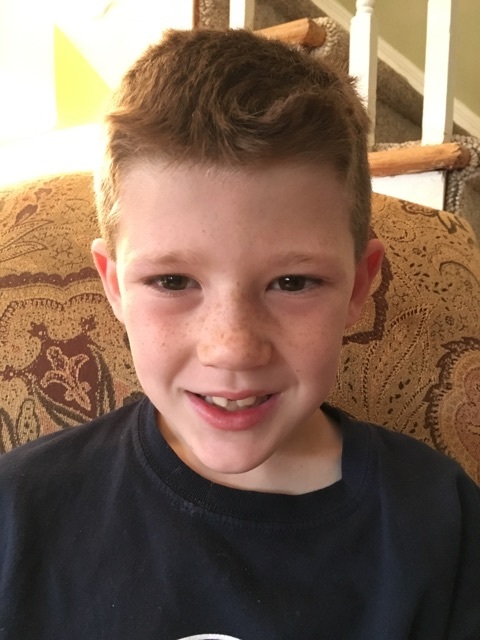 The LMSC boys travel team player of the week is Ryan Leff of the LMSC Avalanche (U-10 Boys). Ryan played well both in the field and in goal. But he was exceptional in goal. Despite a tough loss against a good opponent, Ryan played tough in goal and had several great saves. He was fearless in the net and had a great attitude throughout the game. Congratulations to Ryan for being named LMSC boys travel team player of the week. 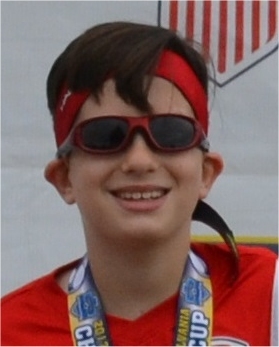 This week's LMSC Girls Travel Team Player Of The Week Award goes to Evan Mastaglio of the LMSC Rage (U-13 Girls). 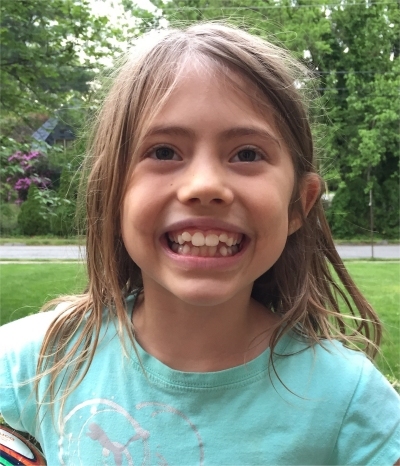 Evelyn scored twice Sunday during the brutal heat to help the Rage come from behind to beat Continental FC 3-2 in a Pags League Game Congratulations to Evelyn on being this week's Travel Team Player Of The Week. 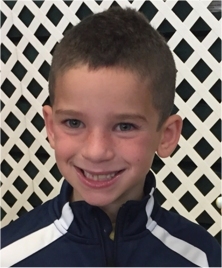 The LMSC boys travel team player of the week is Cole Feldman of the LMSC Celtic (U-9 Boys). The Celtic had an exciting 7-7 tie this week against Rose Tree's 'A' team. LMSC's strong offense was led by Cole who scored five of his team's goals in the game. Congratulations to Cole for being named LMSC boys travel team player of the week. 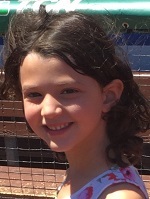 This week's LMSC Girls Travel Team Player Of The Week Award goes to Ruby Wolf of the LMSC Omni (U-8 Girls). 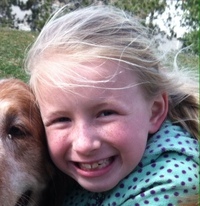 Ruby is playing on our developmental team that is still learning how to play on a big field. In the short time that they have been together she has done a great job of learning to stay in her position and be patient even when the ball does not come to her side for a long time. She never gave up and had a great attitude in a lop sided loss. Congratulations to Ruby on being this week's Travel Team Player Of The Week. 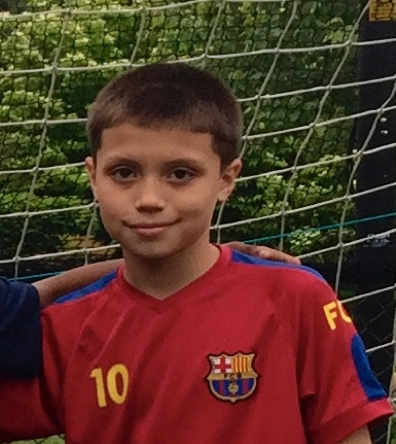 The LMSC boys travel team player of the week is Cruz Corialos of the LMSC Avalanche (U-10 Boys). Cruz not only played an excellent first game in the Avalanche's 3-1 over Swarthmore, but also displayed great sportsmanship. Cruz was superb on defense and also had several excellent scoring opportunities. Also, when accidentally colliding and knocking down a Swarthmore player, Cruz went right over to him to make sure that he was ok. Congratulations to Cruz for his great play and sportsmanship this past weekend. Congratulations to Cruz for being named LMSC boys travel team player of the week. 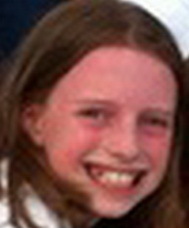 This week's LMSC Girls Travel Team Player Of The Week Award goes to Katie Flanagan of the LMSC Nemesis (U-11 Girls). Katie really stepped up today in her team's first game. While she was not the only one working hard, she truly went above and beyond by playing numerous positions, being aggressive and pushing herself to her limits. We can tell that she worked on her skills over the summer break and she came out today, ready to fight for her team. We are very proud of her efforts and her energy on the field today, sparked her team to play just as hard Congratulations to Katie on being this week's Travel Team Player Of The Week. 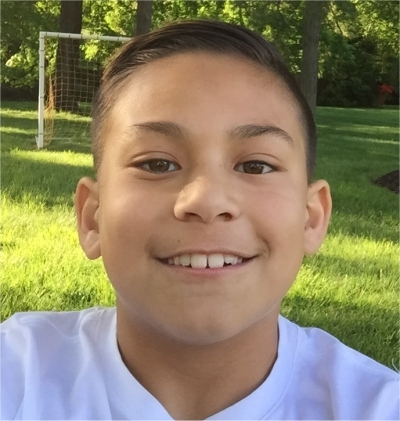 The LMSC boys travel team player of the week is Andres Garces of the LMSC Masters (U-11 Boys). Andres played tenacious defense all weekend in 4 games at the Al Perlini Memorial Day tournament, leading the Masters to the tournament title. Congratulations to Andres for being named LMSC boys travel team player of the week. 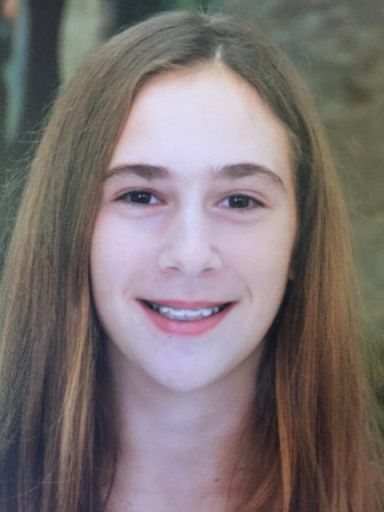 This week's LMSC Girls Travel Team Player Of The Week Award goes to Sara Kestenbaum of the LMSC Legend (U-14B Girls). For the past two weekend tournaments, Sara has arguably been Legend's most dangerous striker recording several shots at goal and scoring two goals. Her speed and ability to get into scoring positions will equate to success for LMSC Legend this fall. Congratulations to Sara on being this week's Travel Team Player Of The Week. 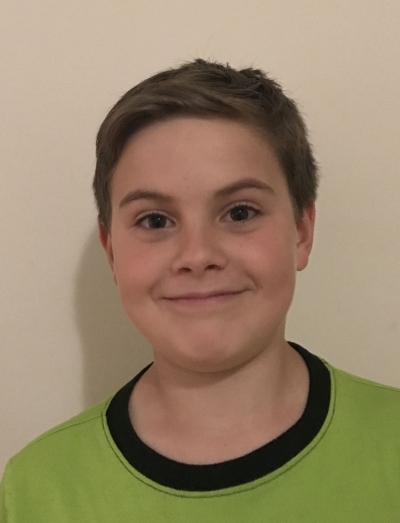 The LMSC boys travel team player of the week is Bryce Dodd from Vortex (U13A). In his first action with the A team, Bryce scored 11 goals at the West Mont Battle of the Hilltop tournament, leading his team to a second place finish. In group play, Bryce scored 3 goals in a 3-0 win over Warrington, 5 goals in a 6-5 victory versus Phoenixville, and one goal in the third game against Fairmont in a 3-0 win. He tallied 2 in the finals in a tough 2-3 loss to West Mont. Congratulations to Bryce for being named LMSC boys travel team player of the week. 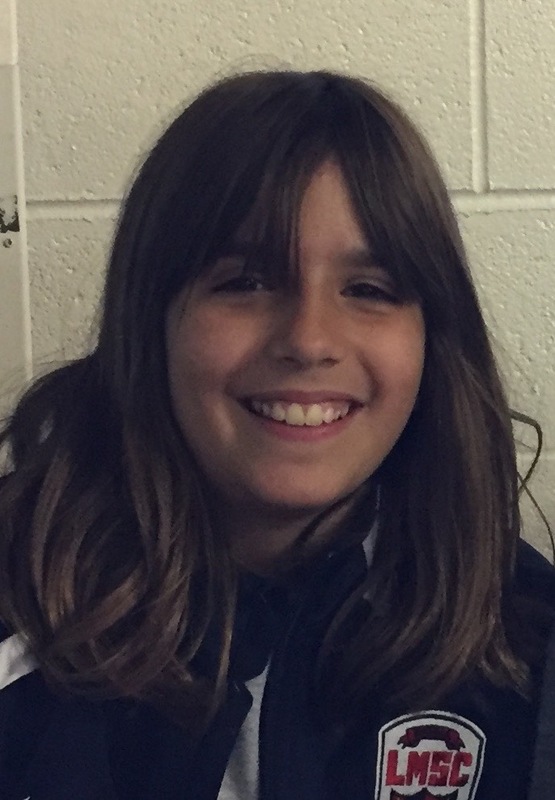 This week's LMSC Girls Travel Team Player Of The Week Award goes to Emma Barrabee of the LMSC Furia (U-11A Girls). She scored 6 goals in the tournament, including 4 in the first game and the game winner to get us into the finals. The team scored 11 goals in total and Emma scored 6. Congratulations to Eva on being this week's Travel Team Player Of The Week. This week's LMSC Boys Travel Team Player Of The Week Award goes to Reiley Kreiser of the LMSC Fever (U-15A Boys). Reiley is a starting center back who played just about every minute of the four games at the FC Delco Players Cup. Fever lost a tough one in the semi-finals to World Class, but Reiley was a rock all weekend on defense against some of the best teams in the region. Of the four games, two were shut-outs thanks to Reiley's strong defensive efforts and leadership. Congratulations to Reiley on being this week's Travel Team Player Of The Week. 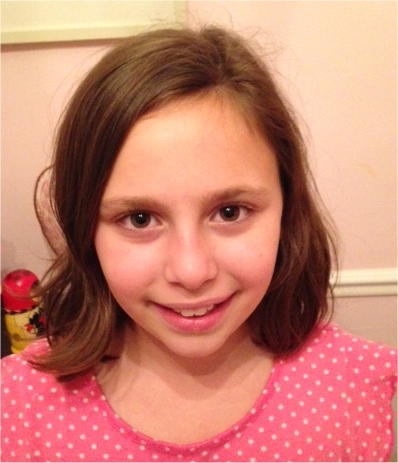 This week's LMSC Girls Travel Team Player Of The Week Award goes to Eva Zefran of the LMSC Stingerz (U-11C Girls). 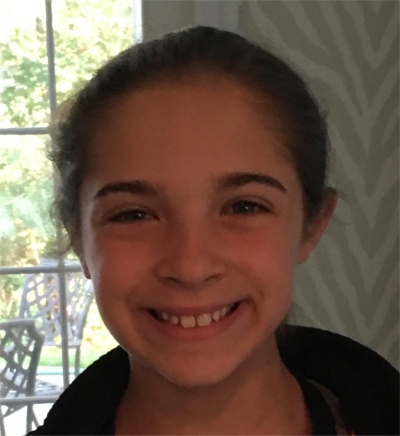 Eva has been a strong force for the Stingerz, helping lead her team to the Whitpain Tournament championship last week with a hat trick in the championship game. Eva followed that up with six goals this weekend in the Hershey Tournament where the Stingerz placed second. Congratulations to Eva on being this week's Travel Team Player Of The Week. This week's LMSC Girls Travel Team Player Of The Week Award goes to Gaby Mazzoni of the LMSC Storm. The Storm were down 1-0 in the second half of their state championship game when the Storm earned a corner kick. The kick went high into the penalty area, Gaby outworked the opponents to get to the ball, lept high into the air and headed the ball past the opposing team's goalkeeper to tie the game. The Storm would later score another goal to earn the Storm their second straight state championship. As always, Mazzoni was a standout player in the middle of the field, winning the ball on defense and getting the ball up her teammates on offense. Congratulations to the Storm on their second straight state championship and congratulations to Gaby on being this week's Travel Team Player Of The Week. 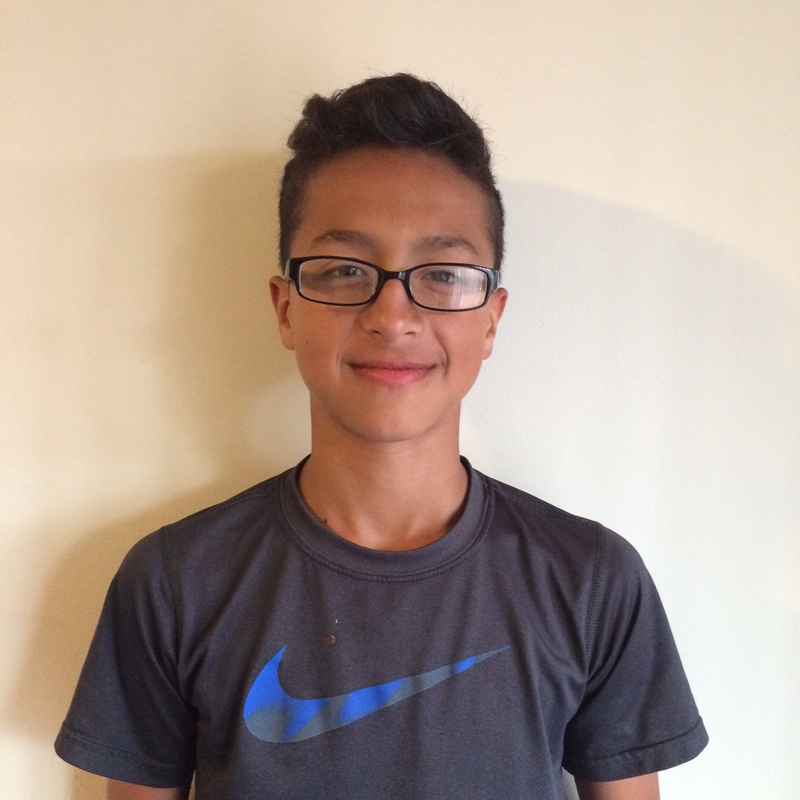 This week's LMSC Boys Travel Team Player Of The Week Award goes to Steven Fajardo of the LMSC Invictus. Steven plays center back for his team and anchored a really solid defense during the Ivicutus' state championship game. Invictus was up 2-0 in the finals, but gave up two late goals to Harleysville that forced overtime. 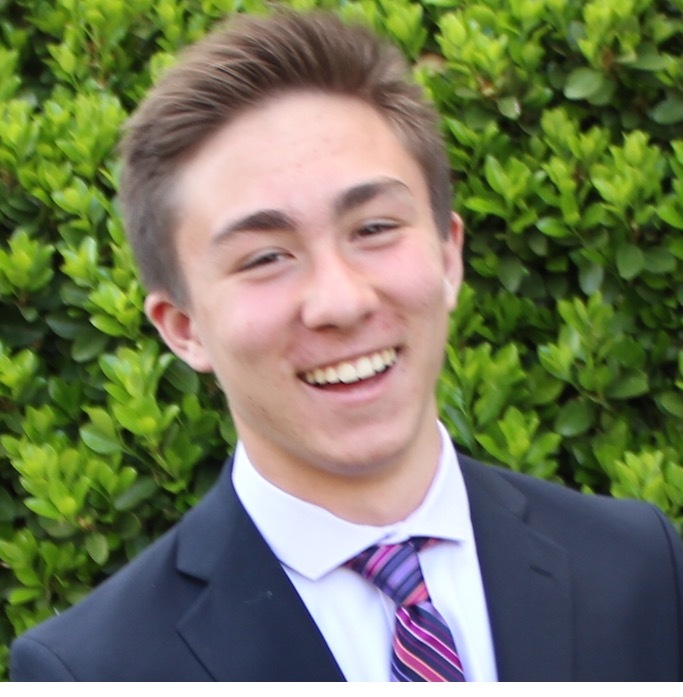 Steven broke the tie at the six minute mark in overtime with a beautiful free kick from 40 yards from goal CLICK HERE to see his goal. The goal turned out to be the winner as Invictus rolled from there with two additional goals to win the state championship game 5-2. Congratulations to Steven for a big goal and playing great defense during the finals. Congratulations also to Steven on being this week's Travel Team Player Of The Week. This week's LMSC Boys Travel Team Player Of The Week Award goes to Connor Stein of the LMSC Under 9A boys. Connor was absolutely outstanding on defense as his team won the state championship this weekend. LMSC was up 1-0 two minutes into injury time of the second half of the game when their opponents were awarded a free kick which they scored to force the game into overtime. Stein and his team continued to fight hard, keeping the ball away from their goal throughout the 20 minute overtime. Meanwhile the LMSC offense put in another goal to earn the team the state championship. Stein played all 70 minues of the game and was absolutely fantastic. Congratulations to Connor on being this week's Travel Team Player Of The Week. This week's LMSC Boys Travel Team Player Of The Week Award goes to Wallach of the LMSC Rogue Wave. Noah scored the opening goal and had an assist in Rogue Wave's 3-2 win versus Delaware Rush on Saturday. On Sunday, he scored three beautiful goals and had a cheeky assist in the team's 4-2 win over Philadelphia Coppa. Noah has been on a scoring tear this spring and was just promoted to Tik Tak. Congratulations to Noah on being this week's Travel Team Player Of The Week. This week's LMSC Girls Travel Team Player Of The Week Award goes to the members of the U-16 LMSC Thunderbolts team. The Thunderbolts faced some very tough competition in their last tournament of the 2016-2017 season. Cold rain made the tournament even tougher. But, in the end, the Thunderbolts won the tournament, giving coach Nikki Posillico Epps a great retirement gift. Nikki si retiring from LMSC after 18 years of awesome coaching. Nikki won the LMSC Travel Team Coach Of The Year Award in 2002 and 2011. Congratulations to the Thunderbolts players on being this week's Travel Team Player Of The Week and a special thanks to Nikki for her 18 years of coaching in LMSC. 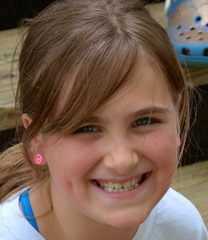 This week's LMSC Girls Travel Team Player Of The Week Award goes to Tallie Smith of the Under 10 LMSC Nemesis team. This weekend the Nemesis played in the CFC Spring Kick Off. We pushed to girls by having them play in the top bracket against all A teams. The girls worked hard all day and stayed tough against great teams. However, one player, Tallie Smith, never gave up. She worked hard every moment she was on the field. She supported her teammates during difficult moments and made sure to stay positive all day. Congratulations to Tallie on being this week's Travel Team Player Of The Week. This week's LMSC Boys Travel Team Player Of The Week Award goes to Serhat Sakarcan of the LMSC Under 17A Sabertooth Rats. The Rats won their Eastern Regional League group last weekend, finishing the regular season with a record of 7-0. The Sabertooth Rats also won their state cup quarterfinal game 5-0. The impressive thing is that the team has managed to get results missing 4-5 starters at any given time. This weekend's game was a highlight reel for Serhat Sakaracan. He scored three goals, all from 20-25 yards out. The keeper had no chance on any of them. It was a very strong performance from him. Serhat has been with LMSC since he was five years old and was the second leading scorer at Harriton High School this year as a junior. 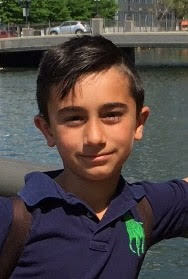 Congratulations to Serhat on being this week's Travel Team Player Of The Week. This week's LMSC Girls Travel Team Player Of The Week Award goes to Addison Chang of the Under 10B LMSC Thundercats team. Addison has been playing great through the Thundercats state cup run. The Thundercats have advanced to the quarter-finals of their state cup competition. This past week, Addison scored four goals in the Thundercats state cup game against Southern Chester County. Congratulations to Addison on being this week's Travel Team Player Of The Week. This week's LMSC Boys Travel Team Player Of The Week Award goes to Sam Rosenberg of the LMSC Under 18 Revolution. 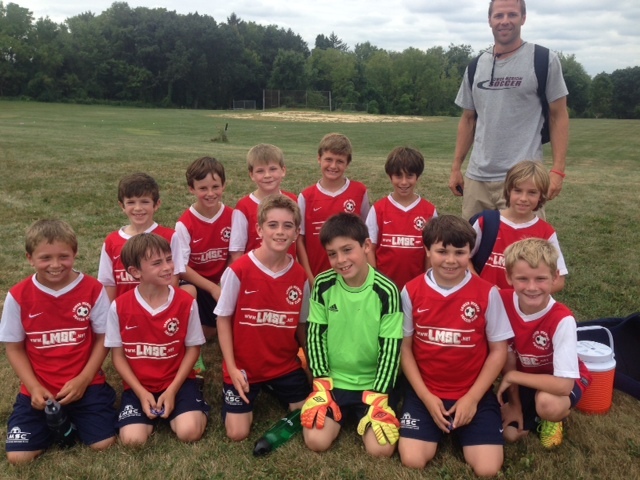 Sam scored twice to lead the Revolution to a 2-1 win over Upper Dublin in state cup play. Sam opened the scoring after 15 minutes when he collected a through ball on his chest, and volleyed it home. Sam was fed by center back Jamie Bregman, who made a strong run from his defensive position before releasing Sam. With only one sub at our disposal, the Revolution fought hard before surrendering an equalizer in the 75th minute. With five minutes to play, Sam headed home a second from a freekick whipped in by Connor Brown. Sam led our offensive line well, and played every minute of this hard fought encounter. Congratulations to Sam on being this week's Travel Team Player Of The Week. 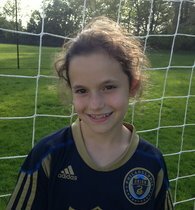 This week's LMSC Girls Travel Team Player Of The Week Award goes to Sophie Smolen of the Under 10A LMSC La Furia team. La Furia won the Robert Urban tournament playing with no subs. Sophie was a creator in the midfield, scoring the game winning goal vs. Nether. La Furia won their games 1-0 vs. Delaware Rush, 2-1 vs. Nether, and 2-0 vs. Brandywine. Sophie had a tremendous tournament. Congratulations to Sophie on being this week's Travel Team Player Of The Week. 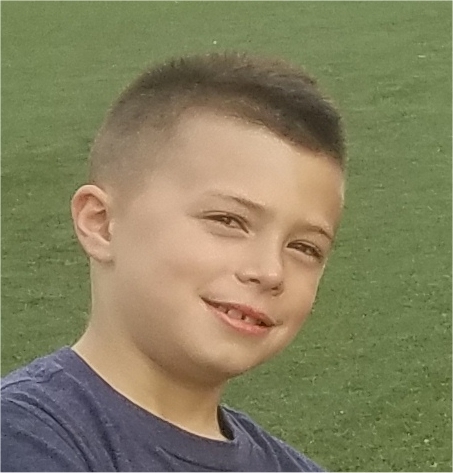 This week's LMSC Boys Travel Team Player Of The Week Award goes to Caden Arnold of the Under 9A LMSC Red team. Caden was a standout player both in goal and in the field, helping LMSC to a perfect 3-0 record in the Robert Urban Memorial Tournament. Caden played goalie in the first half of each game and gave up only two goals. In the field, he played well as a winger and as a defender. Congratulations to Caden on being this week's Travel Team Player Of The Week. 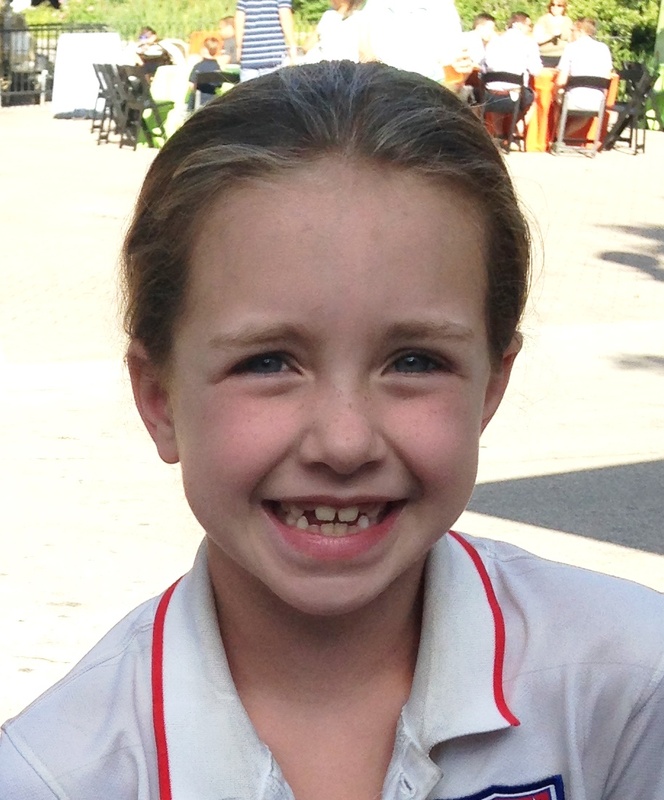 This week's LMSC Girls Travel Team Player Of The Week Award goes to Katie Gilbert of the LMSC U-10 LaFuria team. Katie played goalie this weekend. Her team was up 1-0 and the other team was pressing us hard. Katie saved a 1-1 breakaway to keep us ahead. She made many good saves and distributions. Congratulations to Katie on being this week's Travel Team Player Of The Week. This week's LMSC Boys Travel Team Co-Players Of The Week Award goes to Matthew Goldberg and Kieran Dias-Lalcaca of the Under 14 LMSC Kalamazoo. Due to several injuries, including to their starting goalie, LMSC Kalamazoo played their second state cup match down a player for the entire match. Despite these significant obstacles, the team won the game 1-0. Matthew Goldberg scored the goal and fill-in goal keeper Kieran Dias-Lalcaca pitched the shutout. Congratulations to Matthew and Kieran on being this week's Co-Travel Team Players Of The Week. This week's LMSC Boys Travel Team Player Of The Week Award goes to Cole Sanchez of the LMSC U-17 Quick Boys. The Quick Boys had a first round state cup game this weekend against Southern Chester County Soccer Association (SCCSA). Cole had a hat trick in the game and also assisted on another goal as the Quick Boys cruised to a 6-0 win. Cole has been with the Quick Boys for many years and has emerged as a very talented, hard working player. Congratulations to Cole on being this week's Travel Team Player Of The Week. 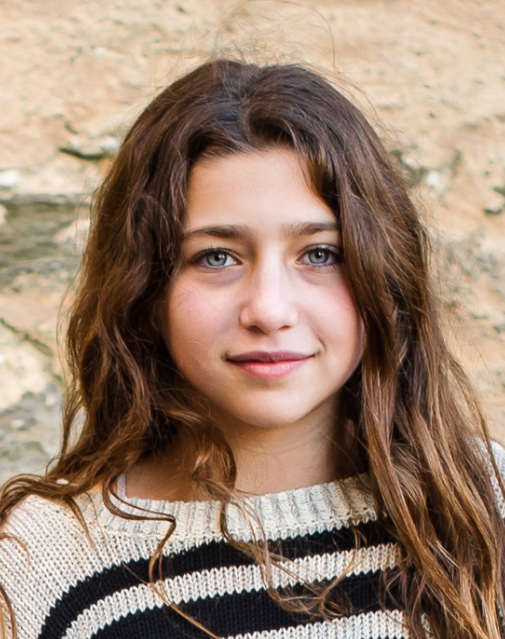 This week's LMSC Girls Travel Team Player Of The Week Award goes to Eliana Klein of the LMSC U-13 Legends. 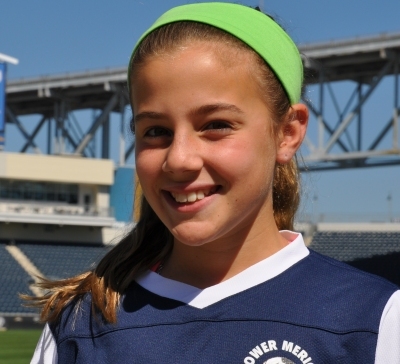 Eliana scored two goals in Legend's second state cup game on Saturday against Souderton. Eliana's consistently good effort in practice translated well into the game this weekend resulting in LMSC Legend's first Cup victory! Congratulations to Eliana on being this week's Travel Team Player Of The Week. This week's LMSC Boys Travel Team Player Of The Week Award goes to Harrison Malone of the LMSC U-17 Sabertooth Rats. This past weekend, the Rats defeated McLean, Virginia, the defending national champions, 2-1 to take first place and remain undefeated in the ERL. Harrison played a nearly tactically perfect game in the defensive midfield. He did the dirty work and passing was crisp and sharp. His re-starts were dangerous and he kept the midfield and organized through his play and leadership. Harrison did a great job orchestrating things in the midfield. Congratulations to Harrison on being this week's Travel Team Player Of The Week. 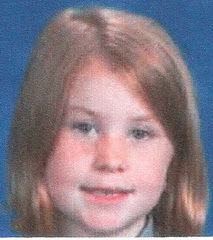 This week's LMSC Girls Travel Team Player Of The Week Award goes to Caroline Johnston of the LMSC U-9 Monstars. In a tough loss, Caroline played center back and was very solid and not just on defense. When she was in possession of the ball, she did not panic. Instead, she took at touch on the ball, looked up despite being under pressure under pressure and made key passes to our forwards feet, starting attack after attack. Congratulations to Caroline on being this week's Travel Team Player Of The Week. This week's LMSC Boys Travel Team Player Of The Week Award goes to Declan Lannon of the LMSC U-8 Magicians. The Magicians captured second place in the Parkwood Thanksgiving tournament. Declan was an offensive and defensive force for the Magicians. He scored eight goals in four games as a field player. He also played goalie for one half of three of the games and did not concede a goal. Congratulations to Declan on being this week's Travel Team Player Of The Week. With the fall high school season over, our older age travel teams began play this weekend. 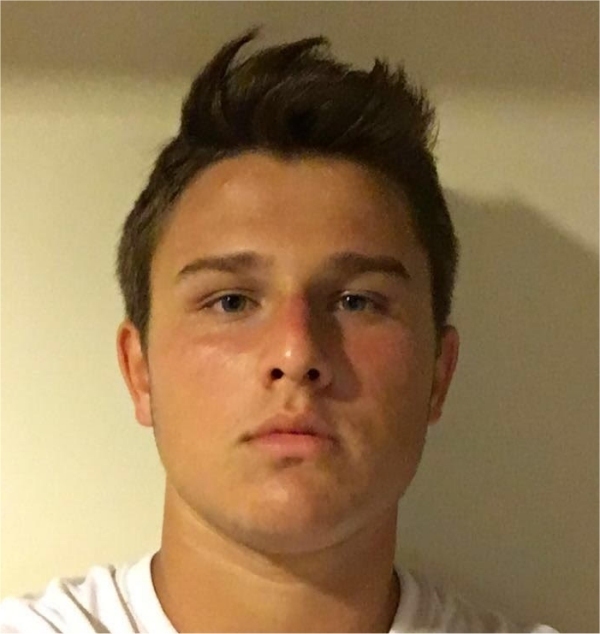 This week's LMSC High School Travel Team Player Of The Week Award goes to Emil Andersen of the LMSC U-18 Boca. LMSC Boca went undefeated in the Bethesda Showcase, beating Asphalt Green from NY 4-0, Freedom SC from MD 2-0, and Jersey United 2-0. Emil anchored the defense as a center back> He stopped all penetrating balls and was instrumental in keeping three clean sheets. He also scored two goals from 30 yards out, including a a left footed blast into the upper 90 past a diving goalie in Friday's game against a strong NY team. Congratulations to Emil on being this week's Travel Team Player Of The Week. 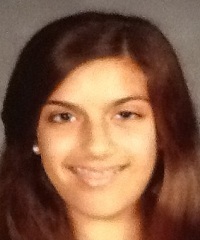 This week's LMSC Girls Travel Team Player Of The Week Award goes to Sonia Gomes of the LMSC U-12 Strike. 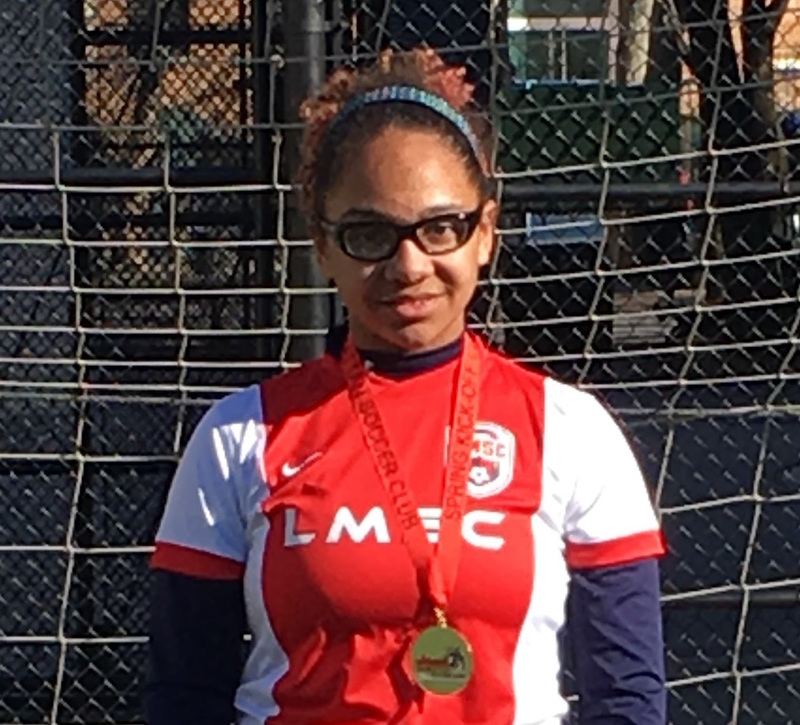 Sonia was challenged in three games this weekend playing goal for the LMSC Strike at the Haverford Welsh Cup. Sonia made many impressive saves in goal helping the Strike to a very successful (2-1) final fall weekend. Congratulations to Sonia on being this week's Travel Team Player Of The Week. 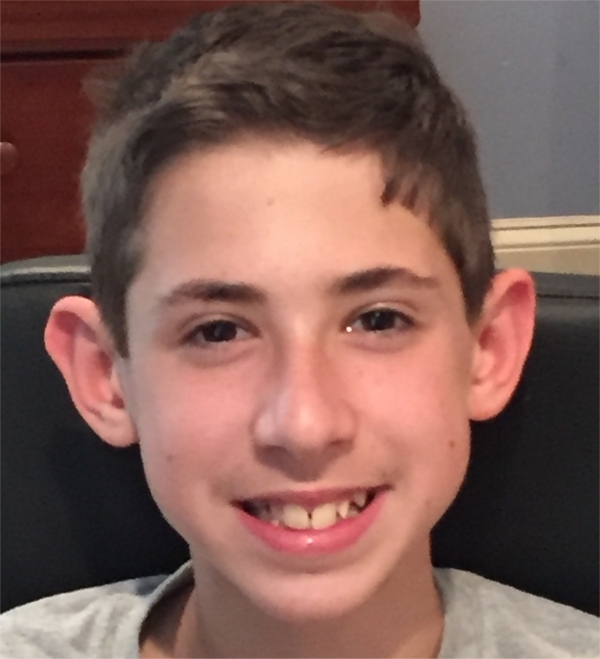 This week's LMSC Boys Travel Team Player Of The Week Award goes to Mori Rothman of the LMSC U-13 Ambush. Mori was critical to Ambush's success in the last game of their tournament at Council Rock. Mori was a defensive presence by stepping into the play and interrupting the flow of the opposition's midfield play. He also distributed the ball with purpose from the center back position that lead to several counter scoring opportunities. Mori also joined the rush to create pressure and scored the final penalty kick goal needed to win the division by one point over Upper Dublin's Black Cyclones. Congratulations to Mori on being this week's Travel Team Player Of The Week. 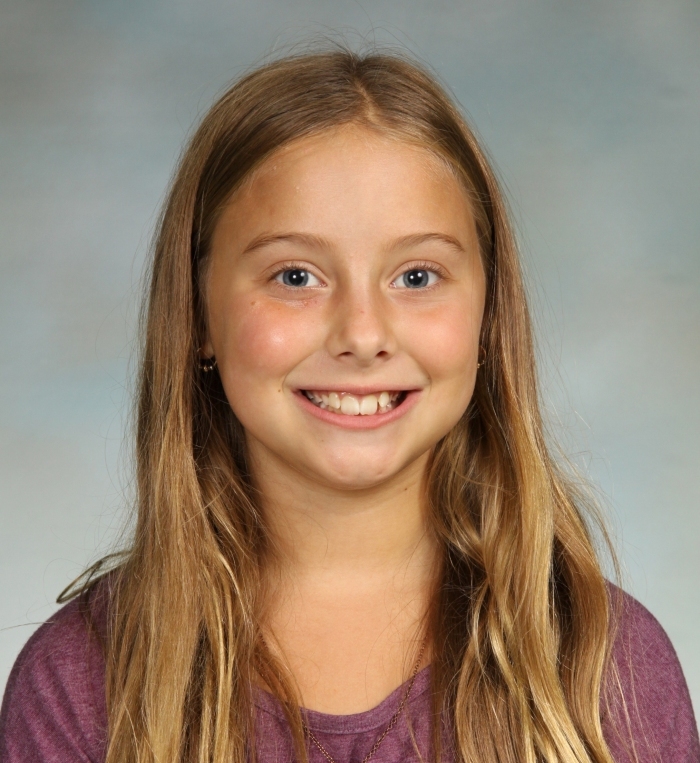 This week's LMSC Girls Travel Team Player Of The Week Award goes to Alexa Saler of the LMSC Nemesis (U-10). Alexa did an amazing job this weekend for her team. The Nemesis played two games this weekend and both days she worked super hard, helped to motivate her team and delivered goals and saves when needed. As a goalie, she gives direction to her teammates to make sure opponents aren't left open. As a forward, she constantly pushes herself and her teammates. She scores goals because she puts herself in the right place at the right time and follows all shots taken by her team. She was invaluable this weekend! Congratulations to Alexa on being this week's Travel Team Player Of The Week. This week's LMSC Boys Travel Team Player Of The Week Award goes to Sammy Smolen of the LMSC U-11 Madrid. Sammy is a hard working player and has been an important contributor to team Madrid the entire fall season. 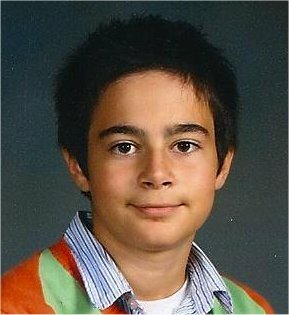 This week, Sammy had the game winning goal in Madrid's victory over the Marple Newton Bengals in Central League play. Sammy's leadership this season, both on the field and off the field, have been an important part of the team's success. Congratulations to Sammy on being this week's Travel Team Player Of The Week. This week's LMSC Girls Travel Team Player Of The Week Award goes to Peyton Parker of the LMSC Thunderbolts (U-15A). Peyton did a great job playing in the center midfield. It is a new position for her but she completely controlled the center of the field, created some excellent combination play for our team, and was an attacking threat against the opponents all game. Congratulations to Peyton on being this week's Travel Team Player Of The Week. 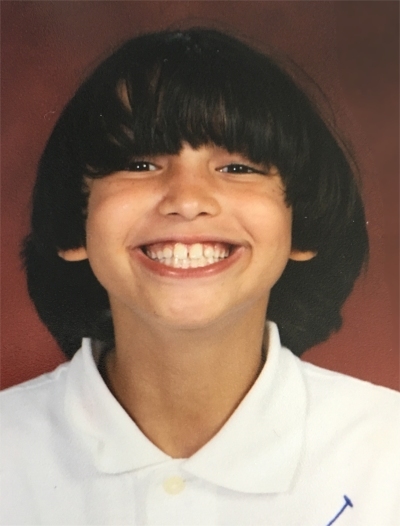 This week's LMSC Boys Travel Team Player Of The Week Award goes to Ziad Nsioui of the LMSC U-12 Thunder. Ziad Nsioui was magnificent on Saturday for the LMSC Thunder versus Concord SA. Ziad assisted on three goals and hit the goal post on another shot. The Thunder was awesome all game, winning 9-1 with Ziad leading the way. Congratulations to Ziad on being this week's Travel Team Player Of The Week. 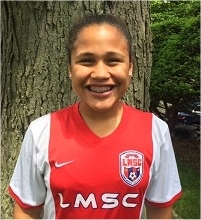 This week's LMSC Girls Travel Team Player Of The Week Award goes to Maya Johnson of the LMSC Strike (U-12B). In a back and forth game this weekend, Maya scored all four of her team's goals. In a tough season, Maya and her team LMSC Strike have worked extremely hard and are starting to develop into a cohesive unit. Congratulations to Maya on being this week's Travel Team Player Of The Week. 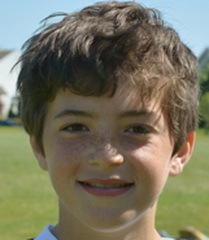 This week's LMSC Boys Travel Team Player Of The Week Award goes to Jude Vaughan of the LMSC Burn (U-11C). Jude scored three left footed goals in route to a 6-0 win for the LMSC Burn in Delco League action, against GPS Delaware Revolution. Jude is a natural right footed player but has worked hard on becoming a two footed player. His hard work paid off as he recorded his left footed hat trick this weekend. Congratulations to Jude on being this week's Travel Team Player Of The Week. This week's LMSC Girls Travel Team Player Of The Week Award goes to Logan Hall of the LMSC Legend (U-13B). Logan has emerged as a team leader because of her good communication skills on the field and on the bench. She always puts the team first. On a team with zero players with the desire to play goalkeeper, Logan has volunteered to be a part time goalie indefinitely. This past weekend, she made several great saves against Marple, keeping them scoreless for a half. Congratulations to Logan on being this week's Travel Team Player Of The Week. 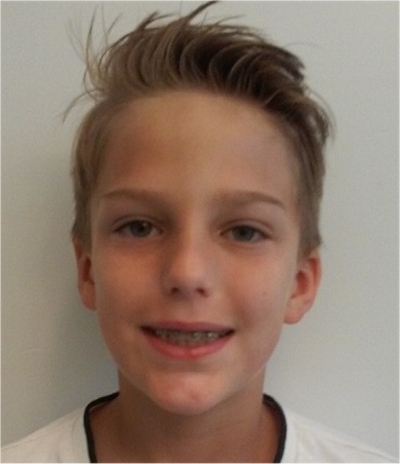 This week's LMSC Boys Travel Team Player Of The Week Award goes to Justin Von Eck of the LMSC Invictus (U-13A). 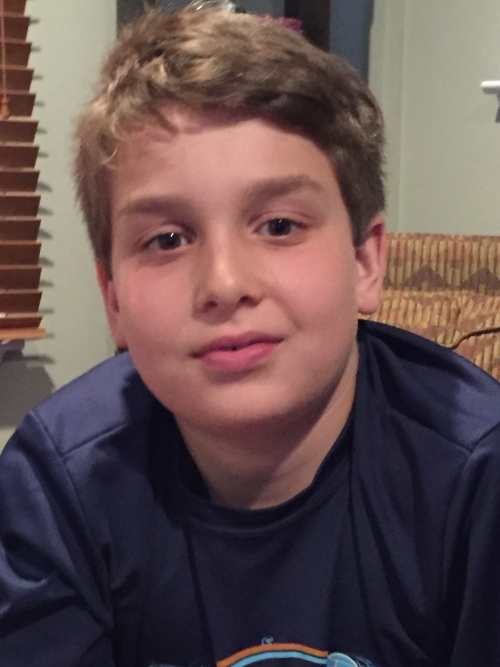 Justin had two goals and two assists in a 9-1 victory over HMMS in their Atlantic Premier League game. Both of Justin's goals were long range blasts from 20-25 yards that entered the net just below the cross-bar. He also controlled the center of the field in his central midfield position. Congratulations to Justin on being this week's Travel Team Player Of The Week. 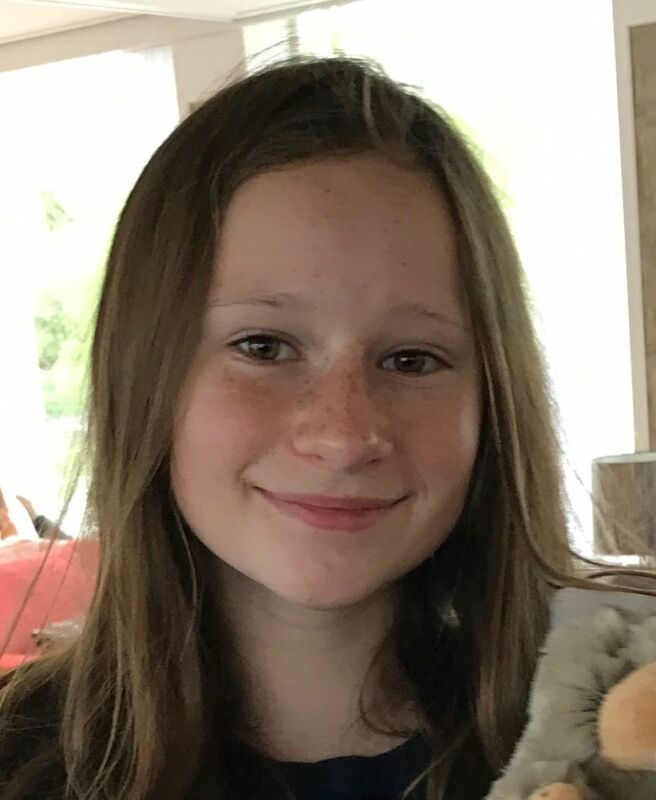 This week's LMSC Girls Travel Team Player Of The Week Award goes to Clara Page of the LMSC Cyclones (U-14A). Clara was outstanding in a 0-0 tie with Philadelphia Coppa. The contributions of a center back often go unnoticed. Clara was relentless in tracking her opponents and won the battle every time. Her play makes her a role model for all Lower Merion defenders. Congratulations to Clara on being this week's Travel Team Player Of The Week. 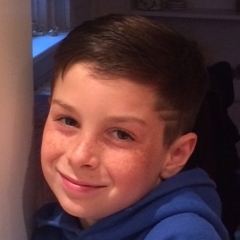 This week's LMSC Boys Travel Team Player Of The Week Award goes to Ethan Horowitz of the LMSC Double 07's (U-10A). Ethan played a phenomenal game as goalkeeper for the LMSC Double 07's as they defeated CFC Dortmund Black 2008s. Ethan did a great job distributing the ball and creating chances for our outside midfielders and forwards when he skipped a layer. He came up with countless saves that led the team to their 6-3 victory. Congratulations to Ethan on being this week's Travel Team Player Of The Week. This week's LMSC Girls Travel Team Player Of The Week Award goes to Katie Gilbert of the LMSC LaFuria. Katie had 2 goals and 1 assist this weekend. Most importantly she played goalie v Philly Soccer who had previously beat us very soundly. She had 10 saves in wet slippery weather to keep the game to a 0-1 defeat. Congratulations to Katie on being this week's Travel Team Player Of The Week. 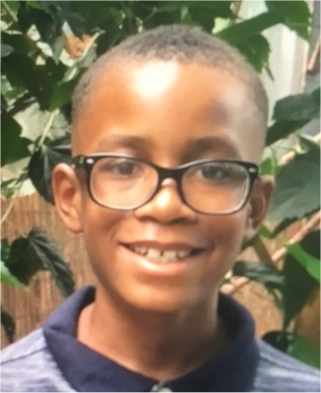 This week's LMSC Boys Travel Team Player Of The Week Award goes to Ethan Heyward of the LMSC U-9A boys. 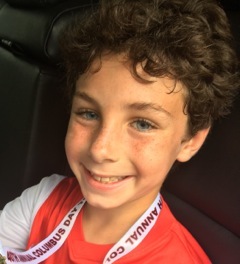 Ethan scored several goals this weekend, helping his team to a 3-0 record in bracket play in the top flight of the Yardley-Makefield Columbus Cup. The team's third game was against Philly Soccer Club Chaos who had defeated the boys in the championship of a tournament back in August. Ethan recorded a hat trick to lead his team to a 4-3 win and a spot in the finals.  Unfortunately, bad weather forced the tournament to cancel the championship game between LMSC and Jackson, New Jersey so the teams were declared co-champions. Congratulations to Ethan on being this week's Travel Team Player Of The Week. 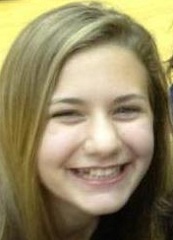 This week's LMSC Girls Travel Team Player Of The Week Award goes to Maggie Choski of the LMSC Crush. Maggie did an amazing job this weekend. Starting at midfield, she worked well with her teammates to move the ball forward and keep possession in our opponents half. She truly went above and beyond when we moved her to defense. She never gave up on a ball, had some great passes up field and stopped every offensive attack from the other team. She even earned a shout out from our referee for always being in the right place to shut down any opposing attack. She never stopped pushing herself and filled in where needed for her team. She did an amazing job and truly helped to push her team to another victory! Congratulations to Maggie on being this week's Travel Team Player Of The Week. 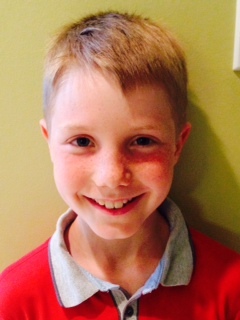 This week's LMSC Boys Travel Team Player Of The Week Award goes to Jack Selway of the LMSC Rogue Wave (U-11B Boys). Jack scored two goals and assisted another in LMSC Rogue Wave's 5-1 over Continental FC. His second goal came on a masterful direct kick at the edge of the box. Jack upped his goal count to 6 goals in 11 matches this season. Congratulations to Jack on being this week's Travel Team Player Of The Week. 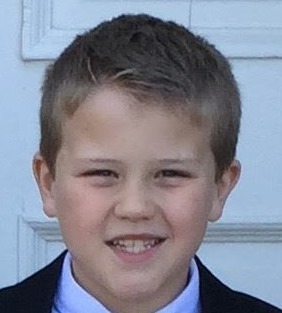 This week's LMSC Boys Travel Team Player Of The Week Award goes to Matthew Pedersen of the LMSC Burn (U-11C Boys). 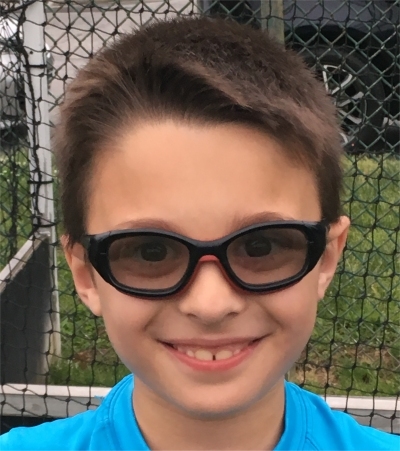 Matthew scored a hat trick this week in his team's 6-5 win over Nether Providence and inspired his team to a hard fought win against a tough Delco League foe. Congratulations to Matthew on being this week's Travel Team Player Of The Week. This week's LMSC Girls Travel Team Player Of The Week Award goes to Kendall Baker of the LMSC Monstars, our U-9A girls travel team. Kendall scored two goals in her team's game this week, leading them to victory of Continental FC> Congratulations to Kendall on being this week's winner of the LMSC Player Of The Week Award. 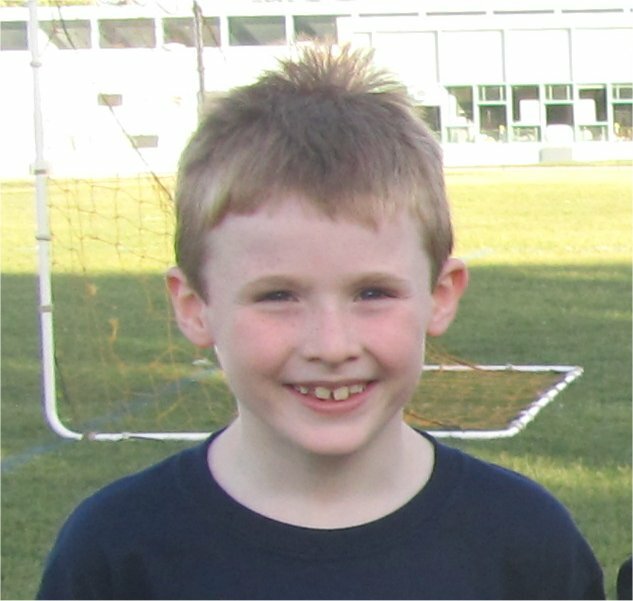 This week's LMSC Boys Travel Team Player Of The Week Award goes to Brendan O'Gara of the LMSC Masters (U-10C Boys). Brendan played goal in the first half and stopped numerous breakaways and tough shots. In the second half, he played tenacious defense in the field, leading his squad to a 2-0 victory over Haverford Soccer Club in Central League play. Congratulations to Brendan on being this week's Travel Team Player Of The Week. 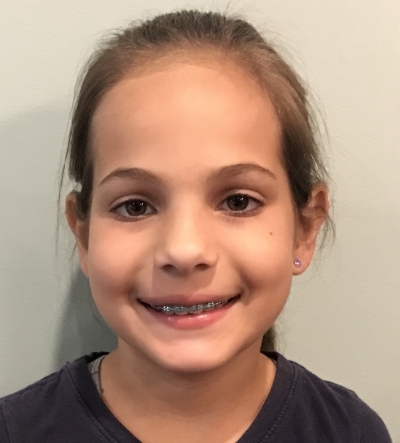 This week's LMSC Girls Travel Team Player Of The Week Award goes to Francesca Lucchesi of the LMSC Monstars, our U-9A girls travel team. In the Monstars game this week, Francesca scored two awesome goals from outside of the penalty area. Her excellent hustle and play both offensively and defensively provided a great example for her teammates to follow. Congratulations to Francesca on being this week's winner of the LMSC Player Of The Week Award. This week's LMSC Boys Travel Team Player Of The Week Award goes to Hayden Ufberg of the LMSC Fever (U-15A Boys). Hayden made a handful of point blank saves to secure a 1-0 win for the Fever in their first game of APL league play versus a talented Deep Run Soccer team. Hayden also came up strong on multiple free kicks, corner kicks, and a breakaway and was a wall in goal for the entire match. Congratulations to Hayden! 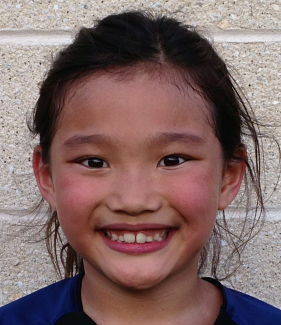 This week's LMSC Girls Travel Team Player Of The Week Award goes to Claire Wang of the LMSC Legend (U-13B Girls). Claire has been a steady defender all week long. She reads the game well, communicates with her teammates and distributes the ball with composure. 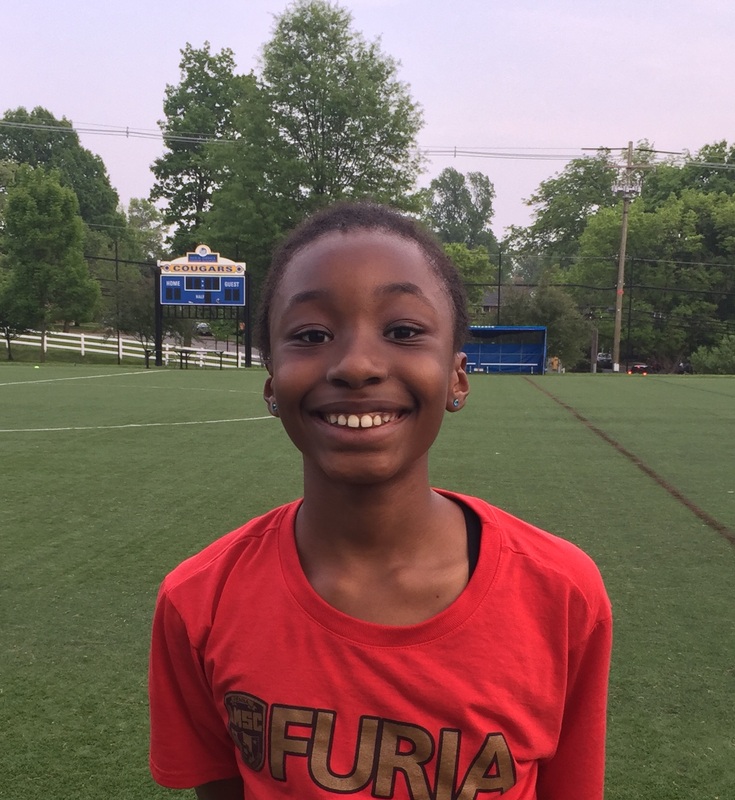 This week's LMSC Girls Travel Team Player Of The Week Award goes to Tori Okorodudu of LMSC La Furia (U-10A Girls). Tori had a great weekend, in her first games ever as a member of the Lower Merion Girls Furia U10 team. 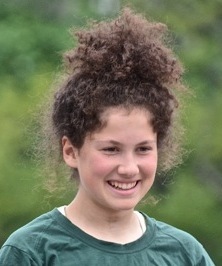 She scored several goals over the course of the three games and helped the team win the Colleen Reilly Horsham Tournament. Tori played in several different positions and she had fun playing on her new team. This week's LMSC Boys Travel Team Player Of The Week Award goes to Kain Biff Blindenbacher, star player for our Under 1A Boys travel team. 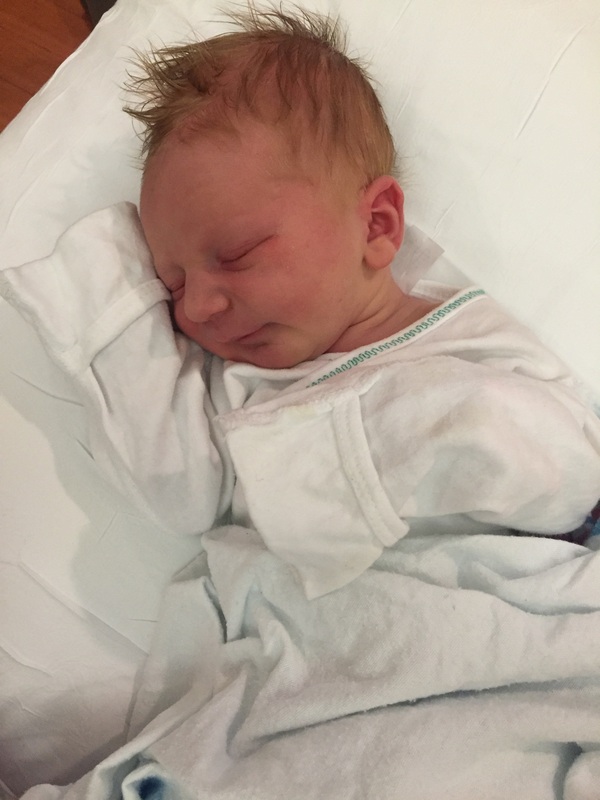 Kain was born May 8, 2016 to former LMSC star Kalle Blindenbacher and long time Pittsburgh area soccer star Becca Burkhart. Kain is also grandson to proud granddaddy Biff Sturla, LMSC President. This week's LMSC Girls Travel Team Player Of The Week Award goes to Maya Johnson of the LMSC Sparx. Maya had the game winning goal on Sunday against Marple, giving the Sparx a hard fought 2-1 win. Maya is the team's leading goal scorer and one of the team's strongest threats every game. Congratulations to Maya on being named this week's LMSC Girls Travel Team Player Of The Week Award winner. 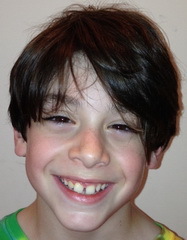 This week's LMSC Boys Travel Team Player Of The Week Award goes to Thomas Kaplan of the LMSC Balos (U-10A Boys). Thomas anchored the defense and scored two goals this weekend in the semifinals and finals of the Atlantic Premier League playoffs. His performance was instrumental in Balos capturing the championship of the first division of the APL. Congratulations to Thomas on being this week's LMSC Boys Travel Team Player Of The Week Award winner. This week's LMSC Girls Travel Team Player Of The Week Award goes to Aine McCann of the LMSC Poppers. Aine shines in every moment her team needs her. She played an amazing first half in goal, stopping every shot and being a strong leader for her team. For the second half, she was again aggressive as sweeper. She is always a solid player that her team can count on. She even earned accolades from the other team's coach and the ref! Congratulations to Aine on being named this week's LMSC Girls Travel Team Player Of The Week Award winner. 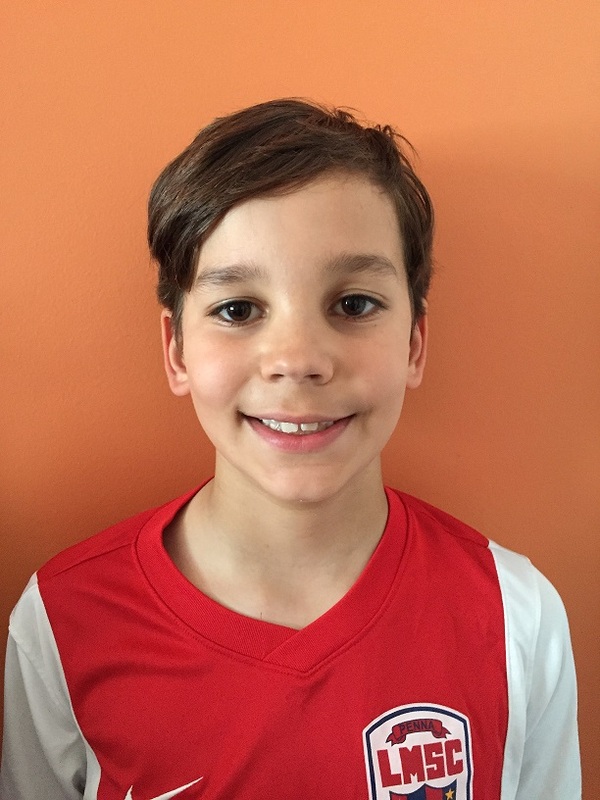 This week's LMSC Boys Travel Team Player Of The Week Award goes to Grisha Fast of the LMSC Red Devils (U-12B Boys). Grisha redirected a laser beam cross into the back of the net in the waning minutes of regulation in the U12 Delco D1 semifinal. He then scored a go-ahead goal in extra time. As if that wasn't enough, he showed the ice in his veins during penalty kick by calmly converting the second PK for the team in a 3-0 PK win (3-3 regulation.) In the championship match, Grisha scored the team's second goal in what was a 2-2 game. After extra time there were no PKs, and his Red Devils were declared co-champions of U12 Delco D1. Congratulations to Grisha on being this week's LMSC Boys Travel Team Player Of The Week Award winner. This week's LMSC Girls Travel Team Player Of The Week Award goes to Jenna Ufberg of the LMSC Epic. Jenna's consistent, reliable defending staved off several attacking players this week in three well fought games. She proves to be a solid leader in the backfield who communicates effectively and leads by example. Congratulations to Jenna on being named this week's LMSC Girls Travel Team Player Of The Week Award winner. 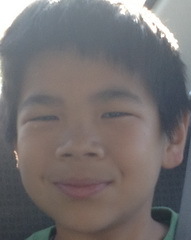 This week's LMSC Boys Travel Team Player Of The Week Award goes to Jason Ren of the LMSC Aztecs (U-14A Boys). It always seems like attacking players doing exceptional things get all the glory. However, Jason from his right back position, performed a spectacular defensive feat. In a 0-0 game, the Kirkwood center striker broke through the Aztecs center defense and was about to go one on one with the Aztecs keeper just outside the six yard box. As Kirkwood's player was about to let fly, Jason came in with incredible speed and accuracy to stuff the shot, just as it was released. The most important thing was it was late in the game. Two minutes later LMSC scored the winning goal. Defense wins games. Congratulations to Jason on an excellent weekend with the Aztecs and congratulations on being this week's LMSC Boys Travel Team Player Of The Week Award winner. This week's LMSC Girls Travel Team Player Of The Week Award goes to Sarah Nelson of the LMSC Devils. Sarah has been strongly contributing to the Devils success this season. This weekend she was a key factor in the both the Devils wins. On Saturday the Devils won 2-1 vs Lighthouse FC, after an intense game, with much leadership from Sarah. The two teams (Devils and Lighthouse) have met often this Fall, and as Sarah and the Devils continue to develop, their hard work and dedication paid off in this major win. The Devils also beat ENCO on Sunday in another hard fought win. Sarah again was a key contributor with two late second half goals, giving Devils the 2-0 win. Congratulations to Sarah on being named this week's LMSC Girls Travel Team Player Of The Week Award winner. 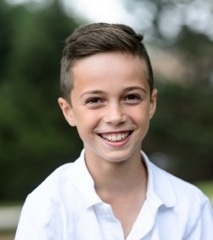 This week's LMSC Boys Travel Team Player Of The Week Award goes to Valentin Yotov of the LMSC Balos (U-10A Boys). Valentin scored two goals in both Balos games this weekend and also assisted on several other goals as the Balos won 4-0 and tied 4-4. Valentin helped guide the team from a 2-0 defecit at halftime to a 4-4 finish in the tie game. These results put the Balos at the top of the table in the Atlantic Premier League with two matches left until playoffs. Congratulations to Valentin on an excellent weekend with the Balos and congratulations on being this week's LMSC Boys Travel Team Player Of The Week Award winner. This week's LMSC Girls Travel Team Player Of The Week Award goes to Grace Downey of the LMSC Epic. Grace has scored an amazing ten goals in the past five games, including two game winners against quality teams. Her ability to sniff out scoring opportunities is uncanny and has helped lead the Epic to a great fall season. Congratulations to Grace on being named this week's LMSC Girls Travel Team Player Of The Week Award winner. This week's LMSC Boys Travel Team Player Of The Week Award goes to Max Keefe of the U110B LMSC Heat. Max recent joined the Heat, moving up from the U-10C squad. Max tallied his first goal and assist for his new team in a 4-0 victory over West-Mont. Max has been an excellent additiion to his new team. Congratulations to Max Keefe for being named LMSC Boy's Travel Team Player of the Week. 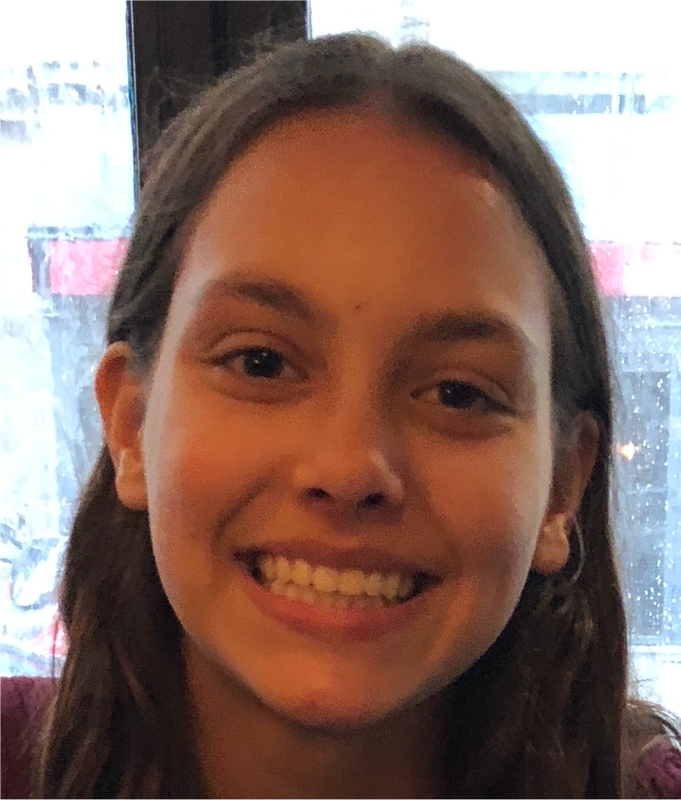 This week's LMSC Girls Travel Team Player Of The Week Award goes to Izzy MacFarline of the LMSC Herricanes (U-14A Girls). Izzy anchored the defense and made play after play to help the team allow only two goals in four games in the Parsippany Pride Tournament top flight championship. Thanks to Izzy's great play, the Herricanes were champions of the tournament. Congratulations to Izzy on being named this week's LMSC Girls Travel Team Player Of The Week Award winner. This week's LMSC Boys Travel Team Player Of The Week Award goes to Shane Brown of the LMSC Fire (U-13A Boys). The Fire played in the Parsippany Pride Tournamant this weekend and finished as finalists. Shane was incredible all weekend. His speed destroyed defenses. He was creative, technical, and extremely sharp in all four games. Shane scored the go ahead goal in the finals and also scored four other times throughout the weekend, one being a game winner. Congratulations to Shane on an excellent weekend with the Fire and congratulations on being this week's LMSC Boys Travel Team Player Of The Week Award winner. 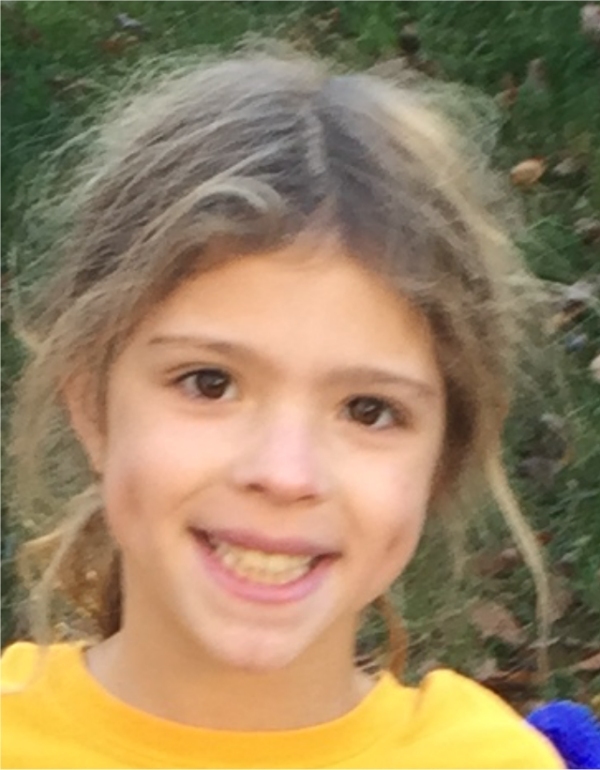 This week's LMSC Girls Travel Team Player Of The Week Award goes to Francesca Lucchesi of the LMSC Omni (U-8A girls). 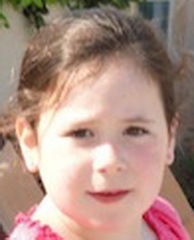 Francesca scored three goals in the Omini's 5-0 win on Sunday. She also played excellent defense, helping her team to a shutout victory. Congratulations to Francesca on being named this week's LMSC Girls Travel Team Player Of The Week Award winner. This week's LMSC Boys Travel Team Player Of The Week Award goes to Simon Rosen of the LMSC Los Toros team. Simon played goal in the first half of Los Toros' game versus T/E Frios and did not concede a goal. He played the second half in the field, scoring three goals and assisting on another. Congratulations to Simon for being named this week's LMSC Boys Travel Team Player Of The Week Award winner. This week's LMSC Girls Travel Team Player Of The Week Award goes to Amelia Gehlhaus of the LMSC Poppers. She was one of our team captains today and she played solid all over the field. She played tough on defense and fast on midfield. She had many breakaways and even scored our second goal of the game. Her enthusiasm is contagious! Congratulations to Amelia on being named this week's LMSC Girls Travel Team Player Of The Week Award winner. This week's LMSC Boys Travel Team Player Of The Week Award goes to Cole Tickle of the LMSC Rage. Cole's excellent play in goal helped his team to a win and a tie over the weekend. He made many clutch saves in both games and was a big difference maker for the team over the weekend. Congratulations to Cole for being named this week's LMSC Boys Travel Team Player Of The Week Award winner. This week's LMSC Girls Travel Team Player Of The Week Award goes to Rani Bleznak of the LMSC Thunderbolts. Rani made some fantastic saves in goal for the Thunderbolts, helping keep her team in the game which ended in a hard fought 1-1 tie. Congratulations to Rani on being named this week's LMSC Girls Travel Team Player Of The Week Award winner. 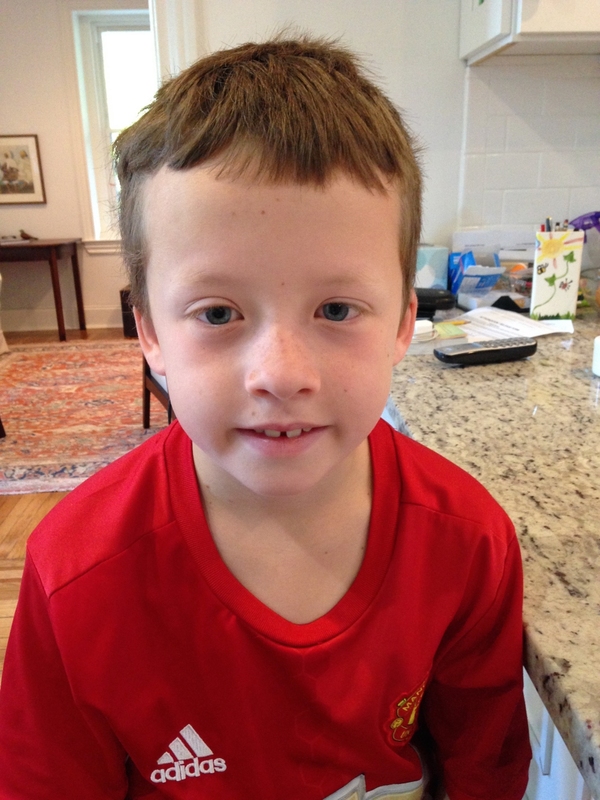 Will is the starting center back for the LMSC Elem-Messi Red, our Under 8 Boys travel team. Will's tough and smart play at center back kept the Lionville Blast off the scoreboard all afternoon. Will also contributed well to the offense, winning the ball just behind the midfield line, dribbling 25 yards and then shooting, to score the first goal of the game. Congratulations to Will for being named this week's LMSC Boys Travel Team Player Of The Week Award winner. This week's LMSC Girls Travel Team Player Of The Week Award goes o Annabelle Durant of the LMSC Poppers. For our first game, Annie played wherever her coached asked her to play and she played smart and aggressively each time. Aside from that, she was a great leader and helped to direct her teammates. Congratulations to Annabelle on being named this week's LMSC Girls Travel Team Player Of The Week Award winner. This week LMSC Boy's travel team player of the week is Joshua Urena of LMSC Swarm. 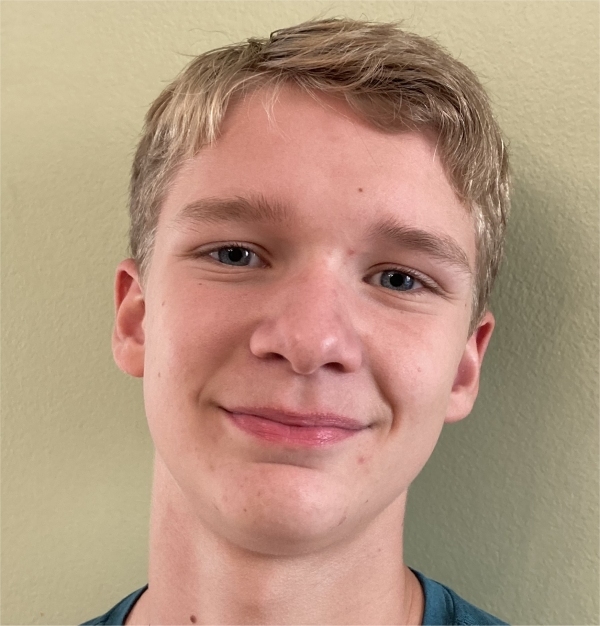 Joshua, the Swarm goalie, posted two shutouts this weekend in Atlantic Premier League play in victories versus PDA South (7-0) and Harleysville (6-0). Joshua made numerous great saves, including on two PK attempts. Congratulations to Joshua for being named player of the week. Grace was our golden boot winner at the Deep Run Labor Day Classic on September 5th. Her goals each game helped Epic finish in 1st place in the U-11 bracket. Grace is a tenacious forward who will do nearly anything to put the ball in the back of the net. Congratulations to Grace on being this week's LMSC Player Of The Week Award winner. LMSC boy's travel team player of the week is Zion Georges of the LMSC Red Devils. Zion scored in each of the Red Devils' four games at the Keystone Cup on Labor Day weekend. Zion had two hat tricks over the course of the weekend including a hat trick in the 6-3 championship win against the Richmond Kickers. He scored a total of 9 goals in the weeks and also had several assists. Congratulations to Zion for being named LMSC boy's travel player of the week! 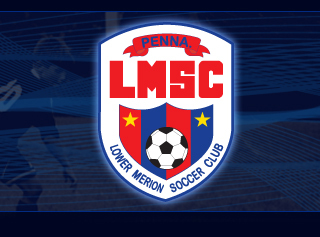 This week's girls travel team player of the week award goes to all members of the LMSC Fenix. The Fenix were crowned state champions for the second time in three years. Congratulations to the Fenix on another great season. 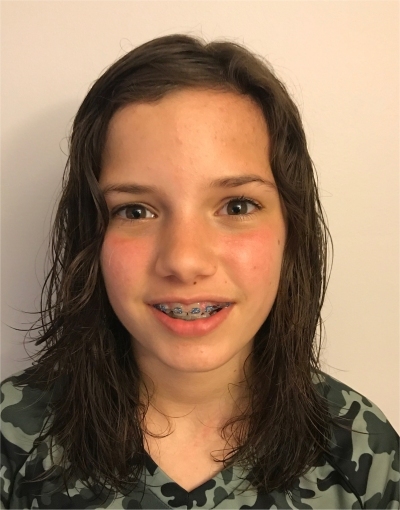 This week's girls travel team player of the week is Amelia Rieser of the LMSC Wildcats, our U-15 girls team. Amelia stepped in to play goalie for the Wildcats when their goalie left this winter. 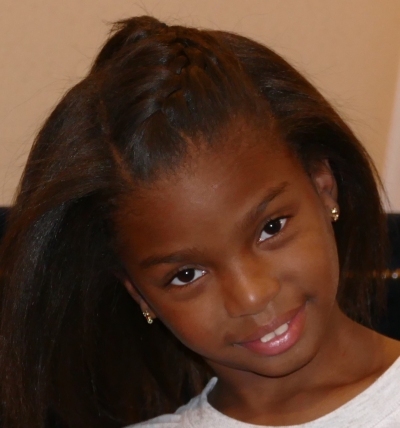 She truly shined this weekend at the YMS Epic Tournament, being aggressive, smart and vocal. She was constantly motivating her team and keeping her team in every game. Amelia recorded a well earned shutout in one of the games during the tournament. She went above and beyond for her team and really impressed everyone. The Wildcats team is beyond proud of her and her efforts - a job well done!! Congratulations to Amelia on being this week's LMSC Player Of The Week Award winner. 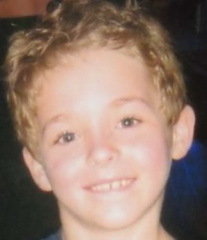 The LMSC Boy's Travel Team Player of the Week goes to Cortez Cardone of the Under 9 LMSC Force. The Force finished in second place in the top bracket of the PA Classics Challenger Invitational Tournament in Lancaster. Cortez anchored the Force's defense this weekend and was impressive in his hustle and ability to shut down the opponent's offensive attack. Congratulations to Cortez for being named travel team player of the week! This week's boys travel team player of the week is Harrison Malone of the LMSC Sabertooth Rats (U-14A boys). Harrison's excellent play in the state cup semifinals helped the Sabertooth Rats win a tough 1-0 game over Penn Fusion. With the score tied 0-0 with four minutes left in regulation, Malone took the ball down the side of the field and served in an excellent cross to a teammate who was wide open at the far post. The great play and excellent pass led to the only goal of the game and put the Sabertooth Rats into the state championship game. This week's girls travel team player of the week is Hannah Blodgett of the LMSC Fenix. The Fenix won a very tough state cup semifinal game this weekend, 2-1 against the Horsham Dynamite. Hannah scored both goals in the game for Lower Merion, making dangerous runs into the penalty area and receiving great passes from her teammates to score her two gaols. Hannah excellent hustle ande effort were a big factor in the Fenix advancing to the state cup championship game. This week's boys travel team player of the week is Vance Yanney of the LMSC Rage. Vance plays the central midfield role for his squad. He had two goals versus Phoenixville and compiled two assists against Radnor the last two weekends in Central League play. Both games ended in victories for the Rage. Congratulations to Vance Yanney for being named LMSC Boy's Travel Team Player of the Week. 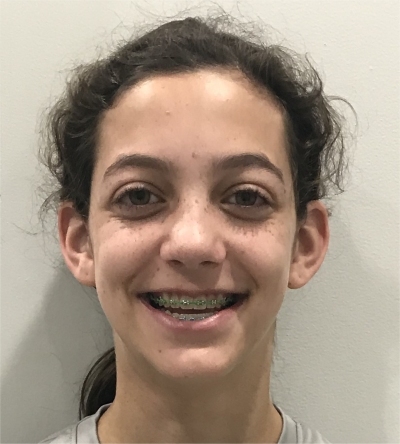 This week's girls travel team player of the week is Lily Bernstein of the LMSC Liberty. Saturday in the Liberty's knockout round state cup game, Lily made multiple saves to help the Liberty advance to the next round of the state cups. In a losing effort on Sunday, Lily made several key saves to keep her team close in a 1-0 defeat. Congratulations to Lily on being selected as our LMSC Player Of The Week. 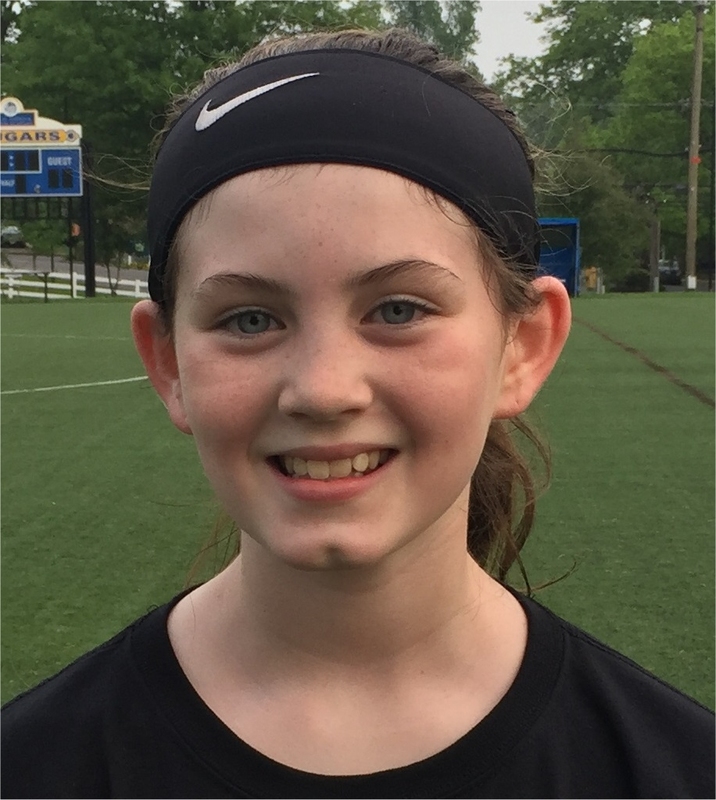 This week's girls travel team player of the week is Kira McDonnell of the lMSC Epic. Her leadership, solid defense and smart decision making in the backfield were all key reasons for Epic's first ever State Cup victory. 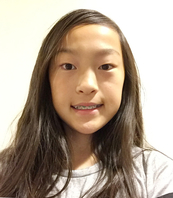 Kira is a dedicated player who consistently works on improving her play on her own. Congratulations to Kira on this excellent accomplishment. This week's LMSC girls travel team player of the week is Caitliin Donovan of the LMSC Herricanes. Caitlin had a hat trick in her first state cup game for the LMSC Herricanes helping the Herricanes to a 4-0 win against Cheltenham. Congratulations to Caitlin. 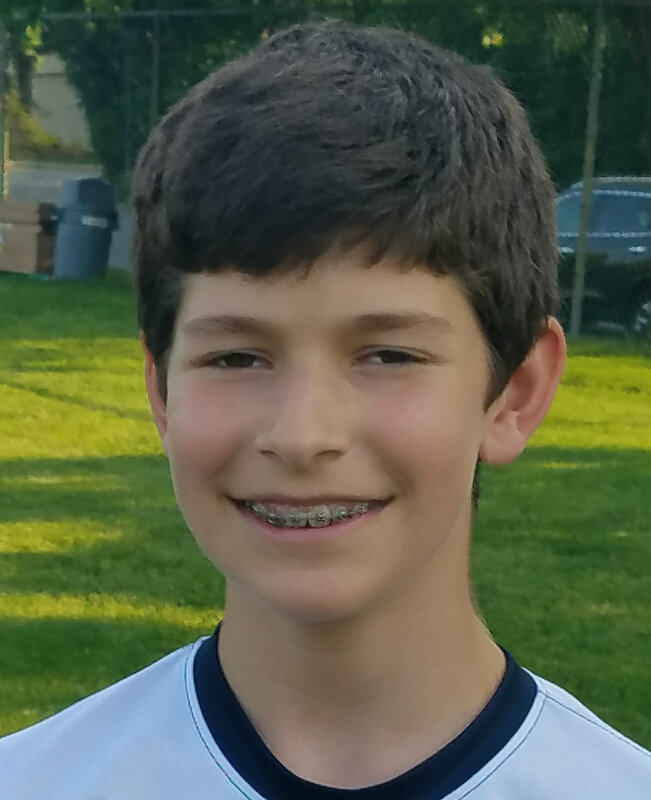 Our first LMSC Boy's Travel Team Player of the Week for the spring season is Eric Hillsberg, striker for the Under 15 Revolution. The Revolution won both their state cup games this weekend by scores of 2-0 and 5-0. Eric scored both goals in the first game and 2 goals in the second game. He is also co-captain and a strong, communicative leader of the team. Congratulations to Eric Hillsberg! 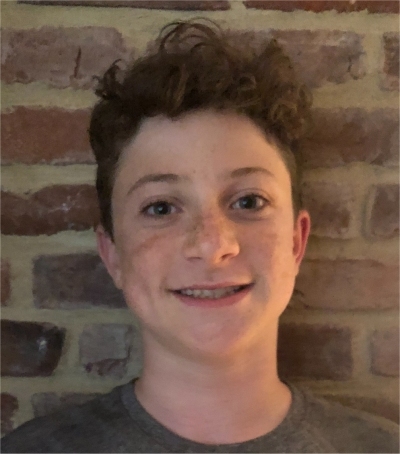 This week's boys travel team player of the week is Sam Segal of the Under 13 LMSC Venom for his play at the West Deptford Tournament in New Jersey this past weekend. In the championship match, the team was down 1-0 at halftime, and equalized five minutes into the second half. Sam then scored the second and third goals for LMSC Venom in the 3-2 victory. The game winning goal was a one-touch left footed strike from the edge of the penalty area. 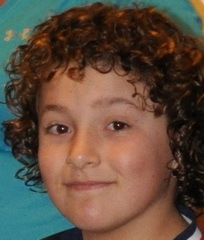 Sam also scored three goals during the group play stage of the tournament. Two of those goals jump-started the team at critical moments of the games. His five goals over our the four game weekend were a big factor in his team's success. Congratulation to Sam for being named boys travel team player of the week. This week's Girls Travel Team Player Of The Week is Sophie Riverso of the Under 15A Wildcats. Sophie gave 100% of herself in all four games of the team's tournament. She scored at least half of the team's goals and never gave up. She worked hard and played aggressively every minute she was in the game. Her desire to win was contagious amongst her teammates (and coaches). She was always in the right place or worked to ensure that she got to where she needed to be. Sophie was invaluable to her team this past weekend at Hempfield. In honor of our "older" high school age teams kicking off their club season this past weekend, we have two boys travel team players of the week. The first is Jonah Anderson from Under 15A LMSC Boca. This was Jonah's first tournament weekend as an A level player. 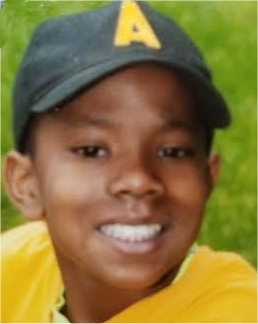 He started at Under 9 as a D team player and, through hard work and dedication, has moved up the travel teams ranks during the years. Jonah was spectacular in goal for his Boca team this weekend at the Bethesda College Showcase tournament, leading his squad to a first place finish in their bracket over teams from New York, Virginia, Vermont and Massachusetts. 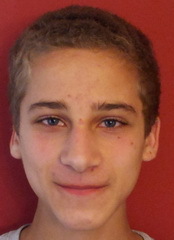 Our second travel team player of the week is Konrad Bulanowski of the LMSC Under 18A Lightning. 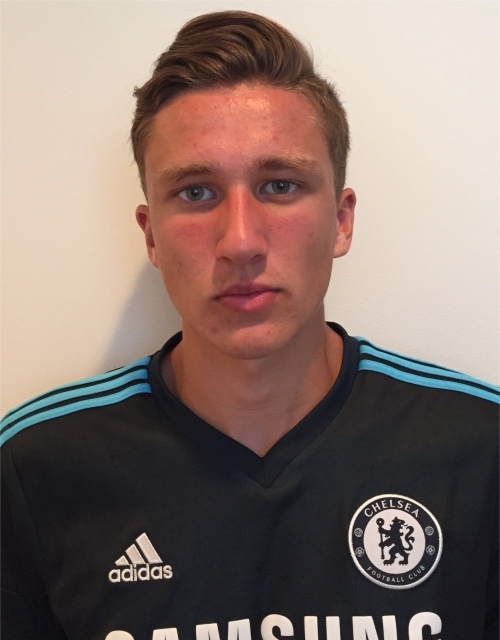 Konrad scored two goals this weekend for the Lightning, who won their U18/U19 bracket at the Bethesda College Showcase. Konrad also created many scoring chances and earned a restart goal in a must win third game vs Annandale. Congratulations to Konrad for being named LMSC boys travel team players of the week. 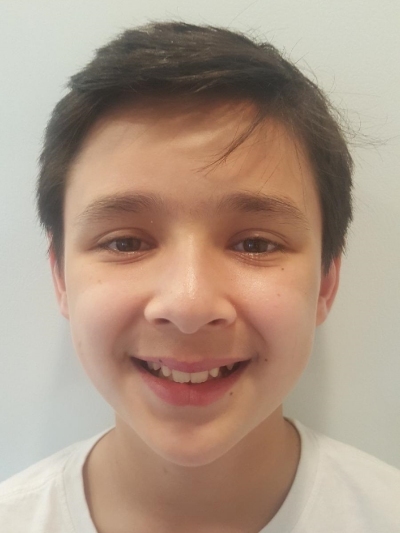 This week's Player Of The Week Award goes to Sebastian Connelly of the LMSC Sabertooth Rats (Under 14A boys). Sebastian earned a shutout in goal against Real New Jersey Arsenal (Medford, NJ) to enable to the Sabertooth Rats to finish in second place in the highly competitive Eastern Development Program (EDP) League, comprised of the top teams from Eastern Pennsylvania, Central New Jersey and Southern New Jersey. The win was the second straight shutout for the Sabertooth Rats as they defeated the Ukrainian Nationals 4-0 and Real New Jersey 2-0. The Sabertooth Rats finished with 5 wins, 1 loss and 3 ties in the EDP league. Connelly is a freshman at Lower Merion High School, this is his seventh year on the LMSC Sabertooth Rats. This week's LMSC boys travel team Player Of The Week award goes to the LMSC Los Toros team and their Head Coach George Severini. The team was faced with the loss of a member of their team/family last week when assistant coach Jorge Severini passed away unexpectedly. The team went on to play Saturday and seal their first place finish in their division of the DELCO league. The boys played with all their heart and soul to win in honor of Assistant Coach, Jorge Severini. This week's LMSC Girls Travel Team Player Of The Week is Grace Dwyer of the Under 11 Liberty. Grace always displays teamwork, commitment and dedication, every time she is on the soccer field, she is a fantastic athlete. This past weekend, she was playing a high level hockey tournament in Toronto, on an all-boys team. She asked if she could get back to her last LMSC game of the fall season which started at noon in Yardley-Makefield. She and her dad left Toronto at 3:30 AM, drove the 7+ hours and got to the field in time for the start of the game. To cap if off, she scored a nice goal to secure a 3-0 victory for the Liberty. Congratulations to Grace on being named this week's LMSC Girls Travel Team Player Of The Week. This week's LMSC boys travel team player of the week is goalie Blake Rosen of the Under 15 LMSC Revolution. Blake was nothing short of spectacular in preserving a 2-0 playoff win for his team this past Sunday. Blake had a total of seven saves in the second half alone and led his team to a hard fought victory. This accomplishment was all the more impressive considering the windy conditions. Blake made three big saves down the stretch, and after one of them launched a nice punt to his striker for an assist on the second goal. Blake also made another close range stop at the end of the game to preserve the shutout. Congratulation to Blake Rosen for being named LMSC boys travel team player of the week! Felicity McFillin of the Under 9 Dragons provided what turned out to be the game winner this weekend in the Dragons first away game victory of the season. Her beautiful run from the midfield and clinical finish truly showed that hard work and patience pays off. Felicity has continued to improve in all facets of the game and has performed well in every position that she is asked to play, making her an integral part of the team's success. This week's LMSC boys travel team player of the week is Alex Pockers of LMSC United. Alex scored a hat trick in United's 7-2 win over Continental FC. He also tallied a key assist and his overall tenacious play was very important in leading his squad to the victory. Congratulations to Alex Pockers for being named LMSC Boys Travel Team Player Of The Week! 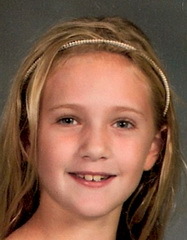 Maura Lindamen of the LMSC Unreal Madrid (U-10A Girls) is this week's winner of the LMSC Player Of The Week Award. Maura was instrumental in UnReal�s 2-2 performance against Continental this past Sunday. Maura is always willing to play any position that the team needs, regardless of the situation. Often times, games are not decided with goals and assists but with who has more heart. Although not necessarily measurable, Maura performance this past weekend was off the charts. For her extraordinary effort, we are pleased to name Maura as our LMSC Girls Travel Team Player Of The Week. Louis Epps is this week's winner of the Player Of The Week Award, despite never having touched a soccer ball in his life. 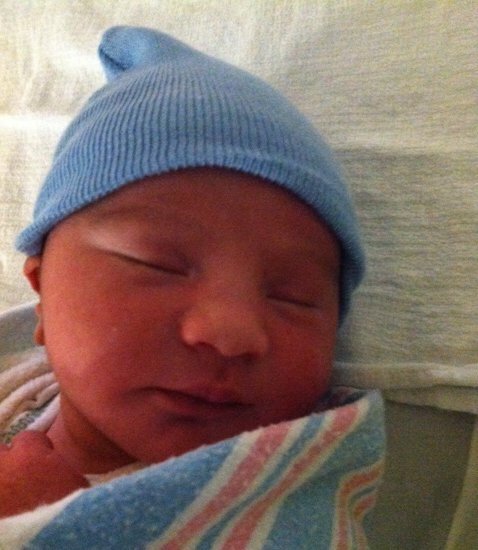 Louis was born on Thursday, October 16, 2014 to Rasheed Epps, LMSC Girls Travel Team Director of Coaching and Nicole Posillico, long time LMSC Officer and travel team coach. We look forward to seeing Louis on the soccer fields in three or four years. Not many people can say they scored more goals than Sergio Aguero did this past Saturday, who tallied 4 for Manchester City. This week's LMSC boys travel team player of the week, Shane Brown, can make this claim. Shane scored six goals in an 8-5 victory for the Under 12 LMSC Limitless over West Chester. Shane was tackling hard, finishing well and making his teammates better for the entire game. Congratulations to Shane Brown for being named LMSC boys travel team player of the week. Frances Guenther of the Under 9 LMSC Dragons has been fearless in goal all season, posting numerous shutouts and making unbelievable saves. Her aggressiveness, determination and willingness to play such a tough position has been incredibly valuable to the team this year. Her effort and great play has helped lead the Dragons to a great first season of travel team play. We are proud to name Frances as this week's LMSC Player Of The Week. This week's LMSC Player Of The Week is Jared Smith of the LMSC 24/7 (U-9A boys). Jared played his best soccer this weekend, helping 24/7 win the top flight at the YMS Columbus cup. Jared controlled the midfield, distributing the ball to set up many goals in the first couple of games. Jared scored the first goal and winning goal against a very strong Match Fit Academy team. Congratulations to Jared Smith on being selected as this week's LMSC Player Of The Week. This week's LMSC Player Of The Week Award winner is Sea Sea Perrin Hee of the LMSC Smash. The Smash played in the top division at the Columbus Day Weekend Parsippany Pride Tournament, going 3-1. 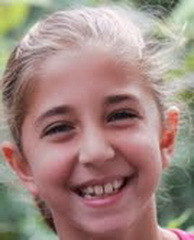 Sea Sea was a large part of the success of the team, she can always be counted on to play any position at any time and even at a young age has become a leader on the field. Congratulations to Sea Sea on being selected as this week's LMSC Player Of The Week. 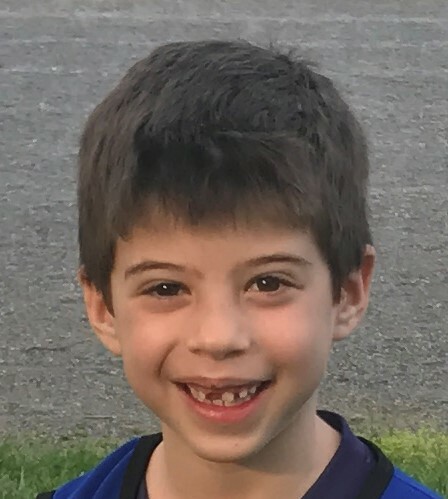 The LMSC boys travel player of the week is Rafa Simonsohn of the Under 9 Warriors. Rafa had both goals on Saturday vs. Haverford in a 2-0 victory. The Warriors are currently undefeated in Central League play and Rafa has been an important and consistent contributor to the Warriors' success. Congratulations to Rafa on being named this week's LMSC Player Of The Week. 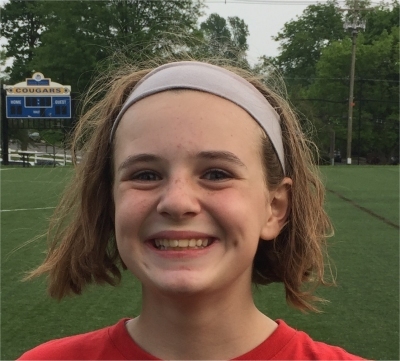 Caitlin Donovan of the LMSC Herricanes Under 13 Herricanes is this week's LMSC Player Of The Week. Caitlin continued to increase her offensive role by netting two crucial goals to keep a tie with Delaware Rush. Caitlin continues to step up her game each week and help her team in a positive way. Her excellent work in both practices and games makes her this weeks's LMSC Player Of The Week Award winner. Center midfielder Elias Betancourt scored both goals in LMSC Swarm's 2-1 victory over local rivals Continental FC. The goals were Elias' 7th and 8th of the season in only 4 games in Delco League Division 1 play. Elias has shown a lot of leadership and great teamwork as well during the season. Congratulations to Elias for being named LMSC boys travel team player of the week. Ella Springer scored the game winner for the LMSC Dragons this past weekend in what was a very closely contested game. She showed a tremendous amount of grit and determination, working endlessly in the midfield and making great passes to her teammates. Her excellent play throughout the entire game made a huge difference in the Dragons victory. As a result, we are proud to announce her as this week's LMSC girls travel team player of the week. Clement Atkinson is the LMSC boys travel team player of the week for September 20-21. Clement plays for the LMSC Little Liverpool. Clement has the tying goal vs. Methacton on Saturday and the game winning goal vs. Kirkwood on Sunday. Congratulations to Clement for being named LMSC boys travel player of the week. Ava Bloom is the LMSC girls travel team player of the week for September 20-21. Ava plays for the Lower Merion Thunder. Ava was a ball of fire at Saturday's game. Her heart and effort were outstanding, giving non-stop energy throughout her team's game this week. Ava covered a lot of space and never stopped working. She may not have scored, but she had many opportunities close to the goal. She is a hard worker and really showed that she deserved to be on the field. Her energy was a key factor in the game. She brought the energy of the whole team to another level. Congratulations to Ava Bloom for being named LMSC girls travel team player of the week. The LMSC boys travel team player of the week is Tim Delleville of the LMSC U14 Chaos. Tim had 6 goals in the Chaos team's two victories for the squad this past weekend, including 5 in one game Congratulations to Tim Delleville for being named LMSC boys travel team player of the week. The LMSC girls travel team player of the week is Gabby Jarvis of the Under 10 Epic. 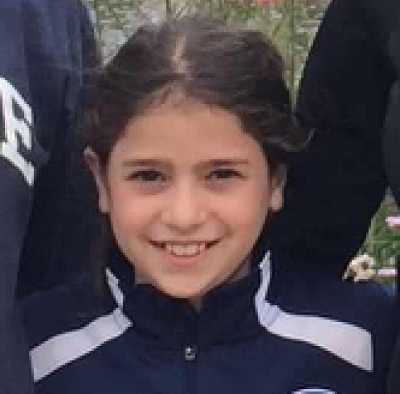 With the first two PAGs games of the year for the U-10 Epic squad, Gabby has not only scored game winners in both games, but has also demonstrated her versatility by anchoring the defense in both games as well. She is a strong presence in the middle of the field who is hungry for the ball every minute. Her excellent ball distribution skills continually set up her teammates for success too. Congratulations to Gabby Jarvis for being named LMSC girls travel team player of the week. 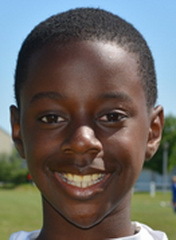 The LMSC boys travel team player of the week is Jalen Hammond of the LMSC U13 Aztecs. Playing in extreme heat, Jalen was outstanding in a 6-4 win over 1776 FC. Jalen recorded a hat trick, including a stunning third goal from 25 yards out. Coach Wayne McKinney's description of Jalen's third goal: "It was one of the most impressive strikes that I have seen in my 32 years of coaching. It was struck with such power and precision that one could only marvel at the beauty of it." Congratulations to Jalen Hammond for being named LMSC boys travel team player of the week. Rani Bleznak the goalie for the LMSC Thunderbolts started off strong in the first week of the Fall 2014 season. In the first game of PAGS D1 Premier for the u12 age group the Thunderbolts played a tough PA Classics team in Lancaster. Rani made critical saves throughout the game to lead her team. It goes to show when your goalie has a strong performance it can lift everyone on the field. Congratulations to Rani Bleznak for being named LMSC girls travel team player of the week.